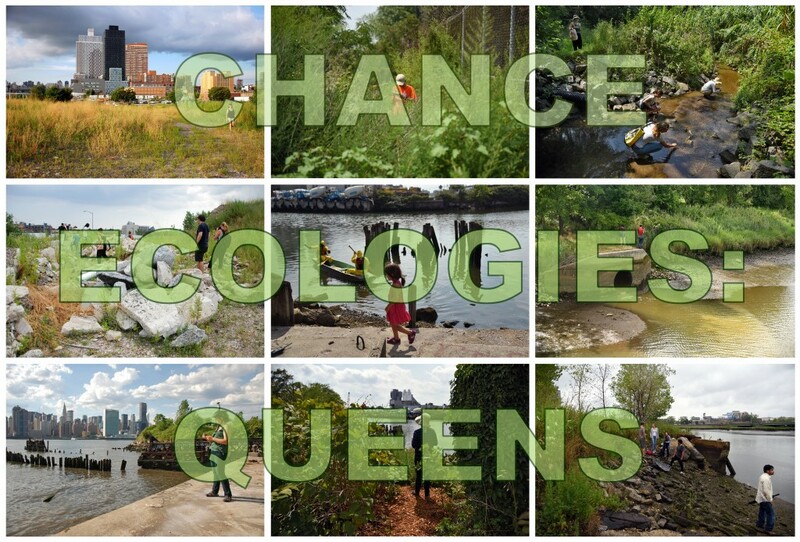 We are thrilled to announce the opening of our exhibition, Chance Ecologies: Queens, at the Community Partnership Gallery of the Queens Museum. 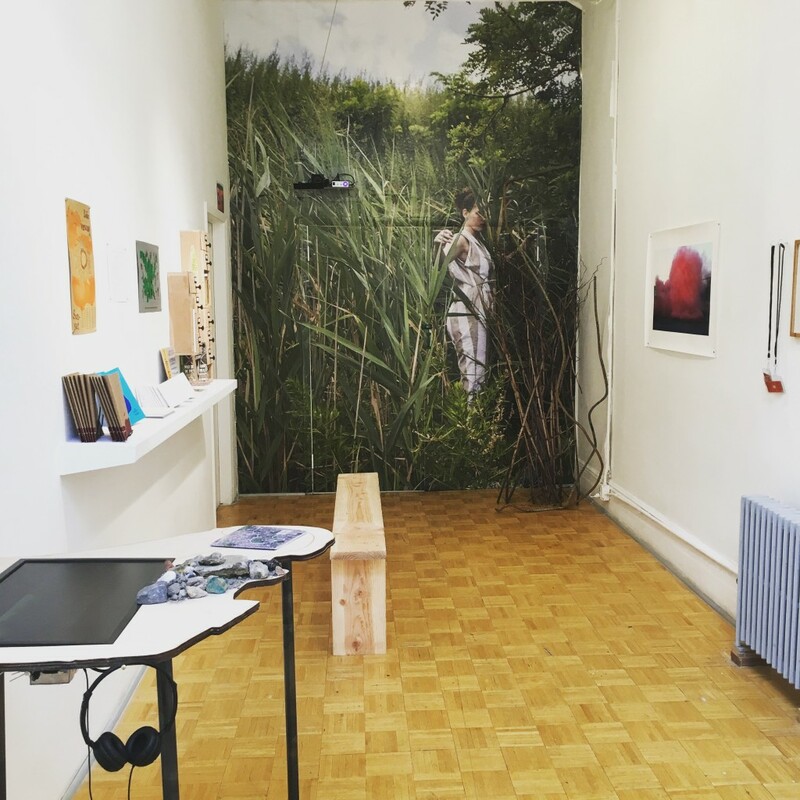 Please join us for the opening reception on October 8th, 2016 from 2-4pm. 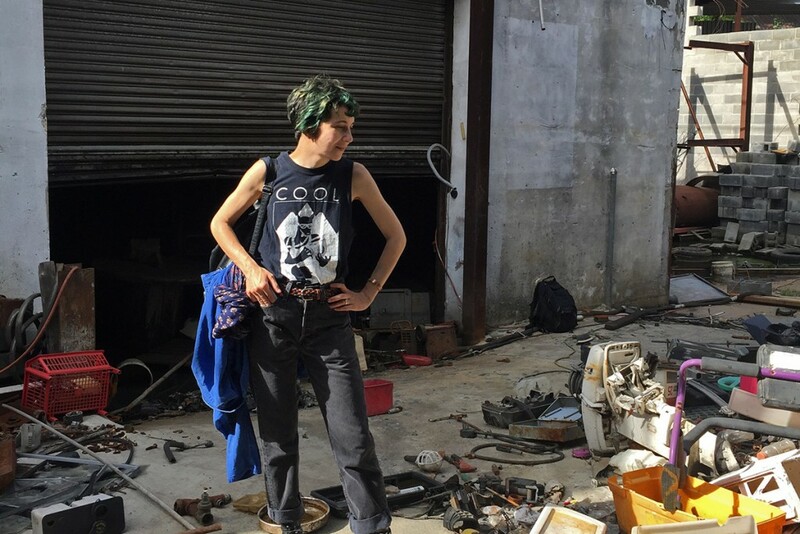 The exhibition will be on view October 8-30, 2016, and will include a day of participatory workshops and public performances on October 16th, and a day of artist film screening and panel discussions on October 23rd. 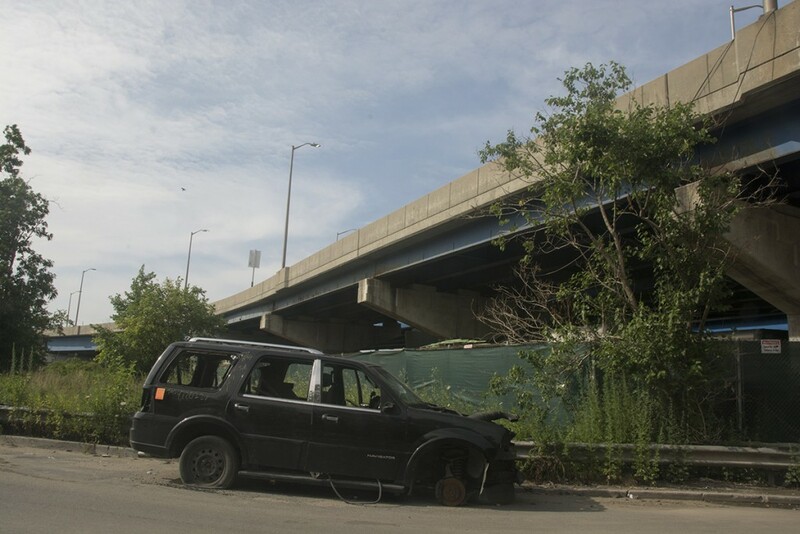 Chance Ecologies: Queens is curated by artists Catherine Grau and Nathan Kensinger, and includes work by many of the artists and thinkers who have been a part of Chance Ecologies, including Joianne Bittle, Daniel Campo, Laura Chipley, Nate Dorr, Maya Edelman, Edrex Fontanilla, Dylan Gauthier, Dillon de Give, Ellie Irons, Chris Kennedy, Kristyna Milde, Marek Milde, Anne Percoco, Edmund Mooney, Matthias Neumann, Natalia Roumelioti (ntilit), Raphaele Shirley, Marisa Tesauro and Sarah Nelson Wright. 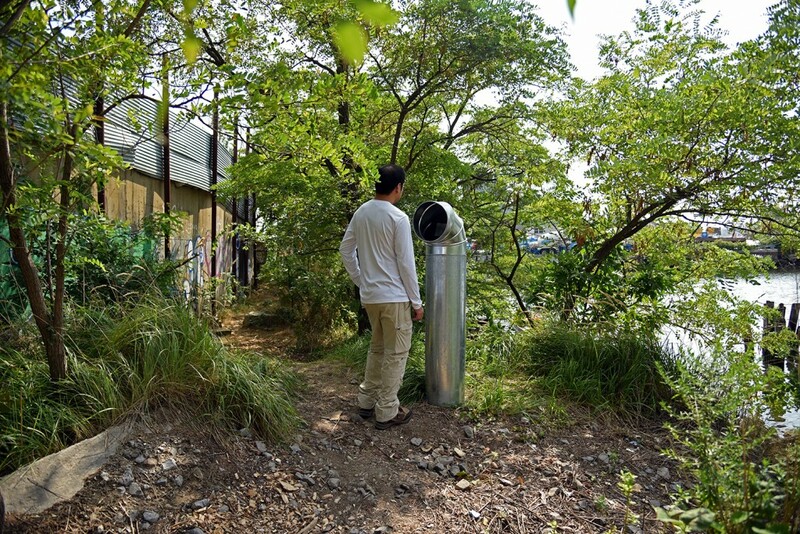 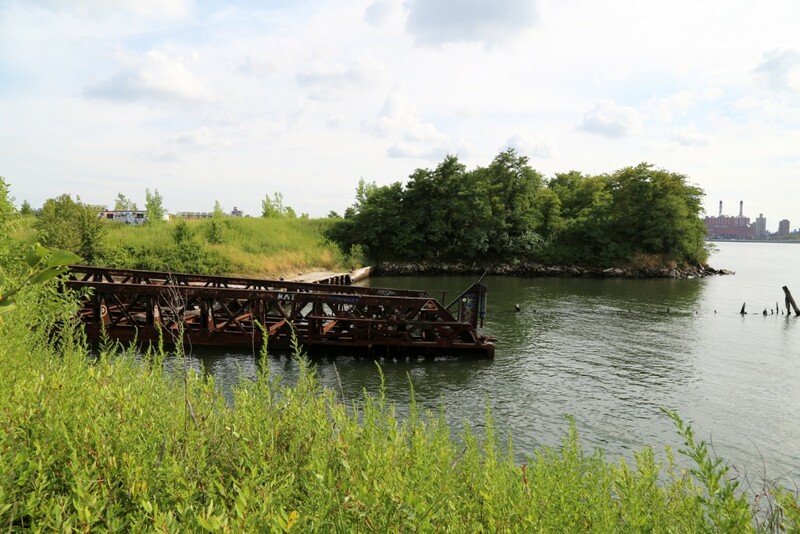 Chance Ecologies was created in 2015 by Catherine Grau, Nathan Kensinger and Stephen Zacks, and has been supported by the Queens Museum, ArtBuilt Mobile Studios and the NYC Department of Parks & Recreation with a residency at the Studio In The Park program, and has worked in partnership with Amplifier Inc., RadiatorArts, and the Newtown Creek Alliance. 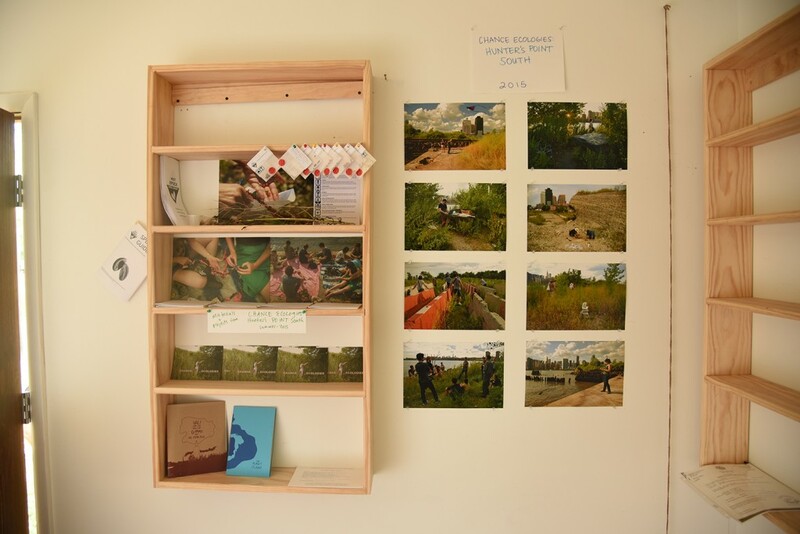 If you visited the Queens Museum between Oct.8th-30th, 2016 to view Chance Ecologies: Queens at the Community Partnership Gallery, be sure to check out a copy of artist Christopher Lee Kennedy’s broadsheet hiway/hiway. 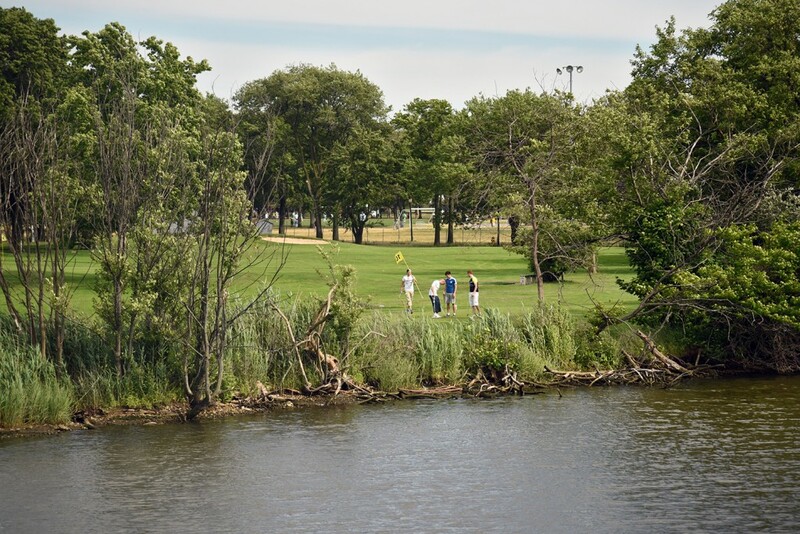 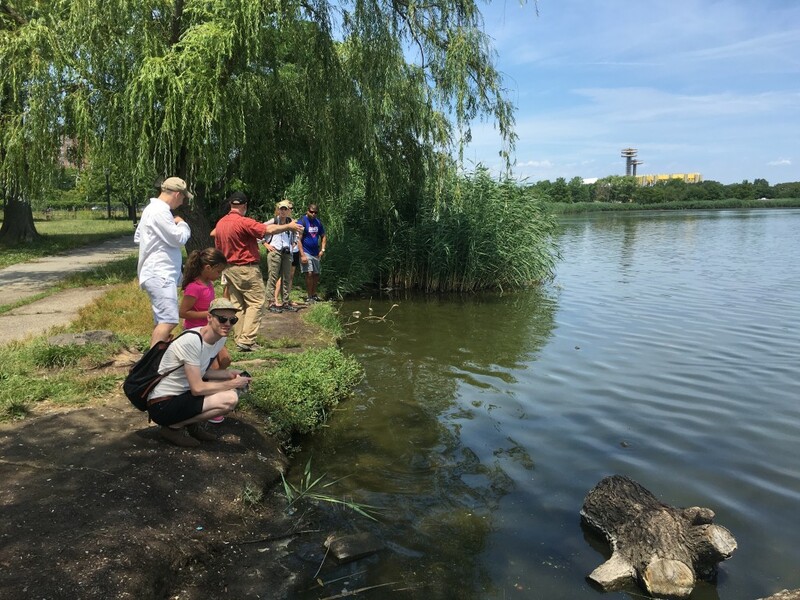 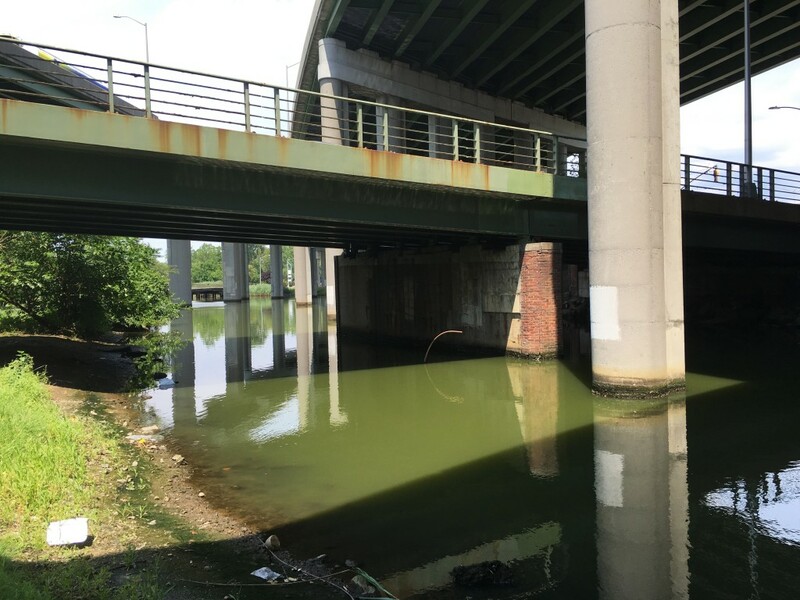 hiway/hiway is a site-specific investigation of the Flushing Creek at the intersection of the Long Island and Van Wyck Expressway in Flushing Meadows-Corona Park. 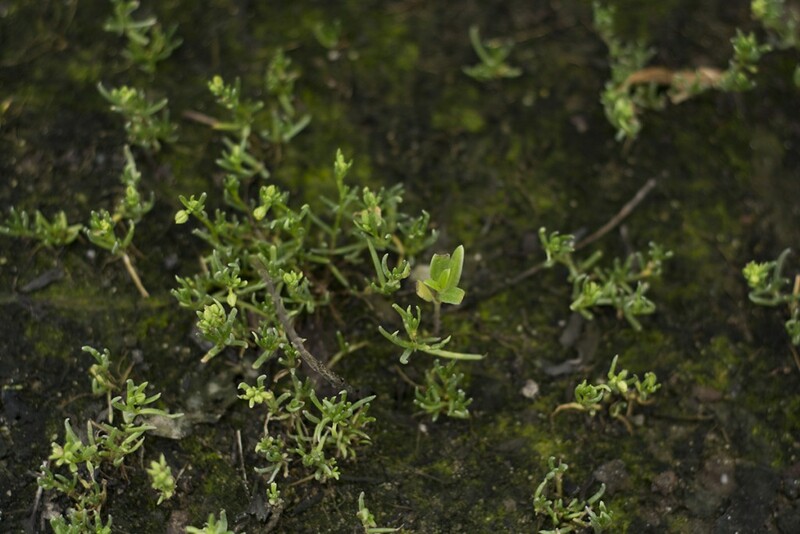 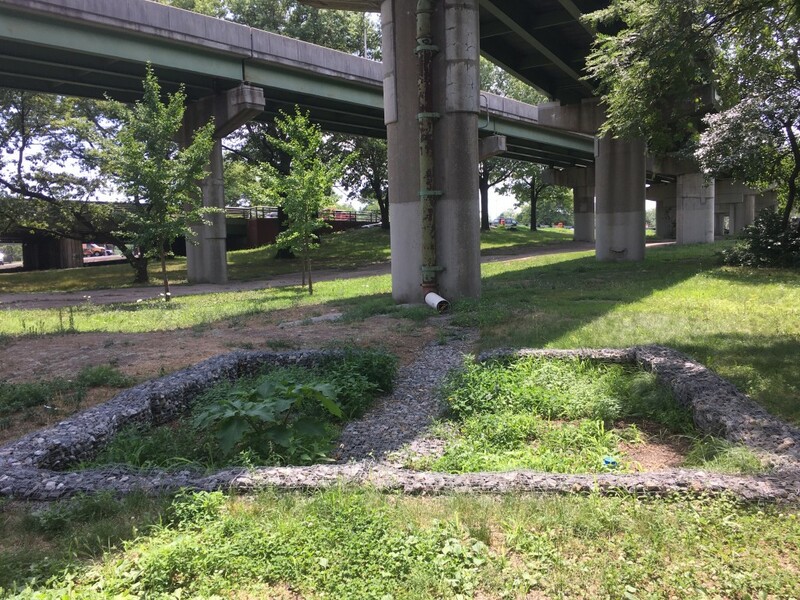 The project explores the value of unmediated weedy landscapes that surround highway interchanges and on-ramps, and considers how transit systems act as habitat, repository, and conveyance for seeds, pollutants, water and multi-species interaction. 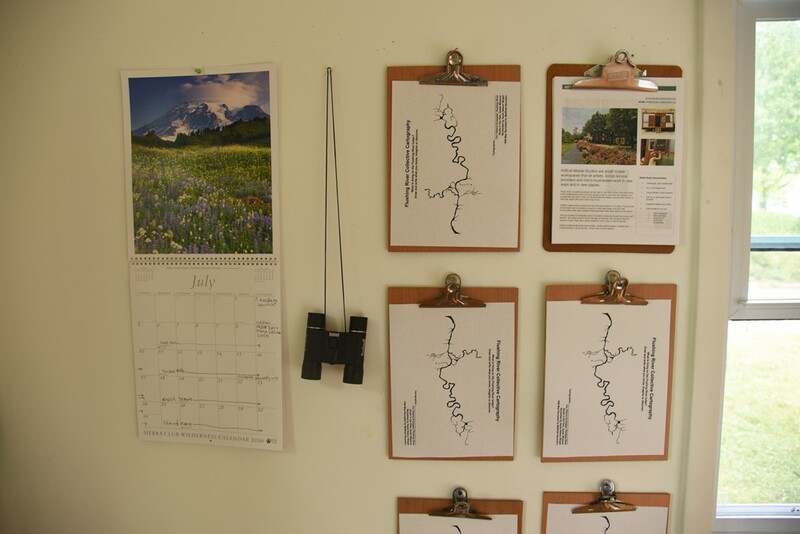 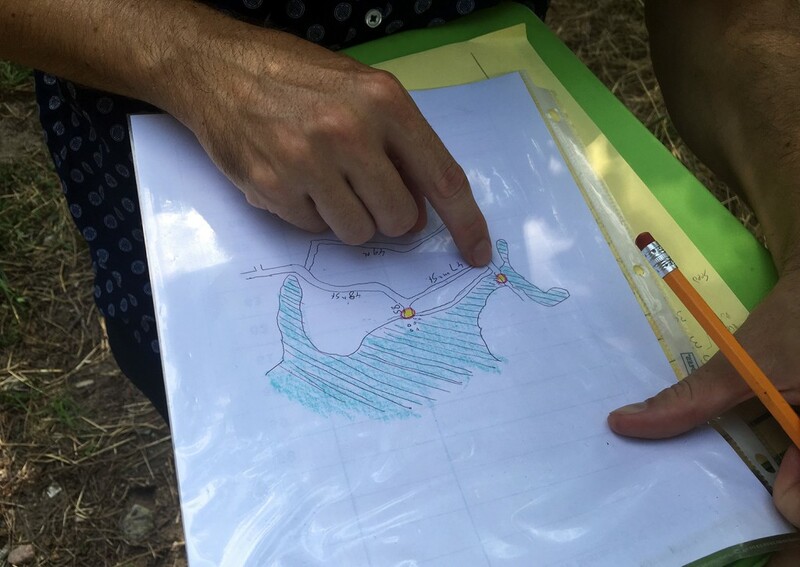 As amateur ecologist and artist, Christopher Lee Kennedy conducted 5 field studies in July and August 2016. 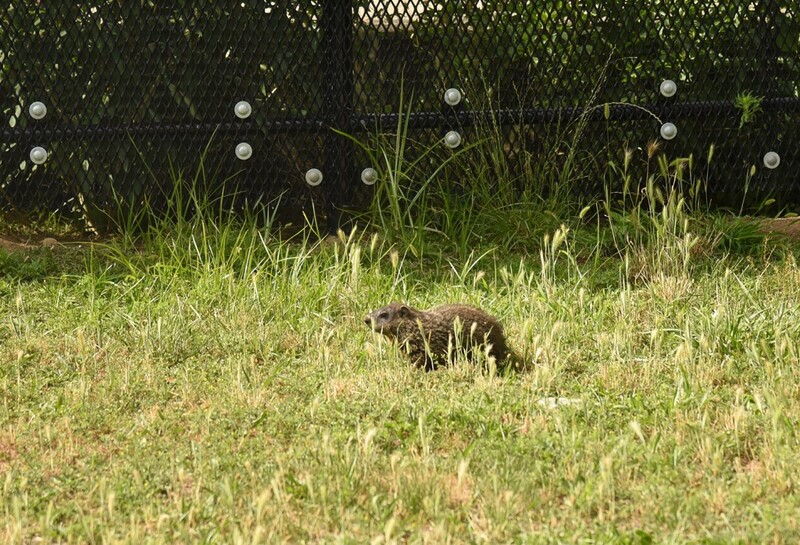 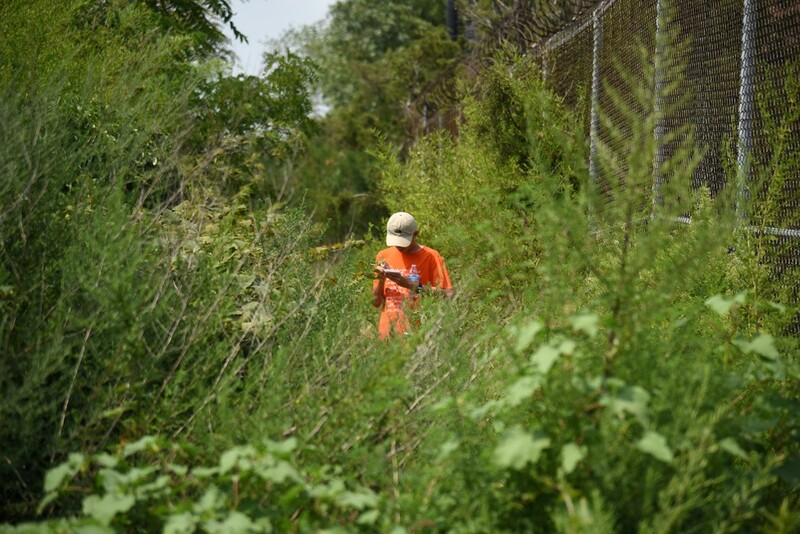 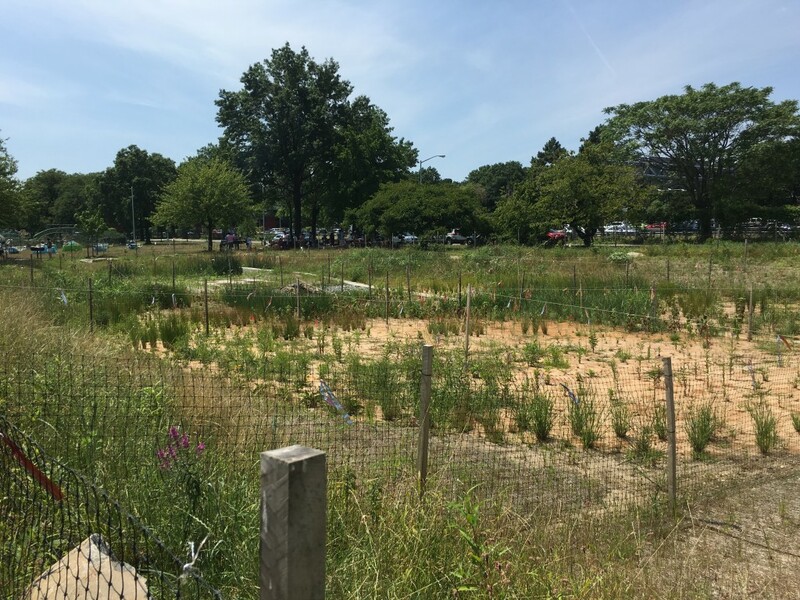 He was drawn particularly to a site under the tangle of highway infrastructure at the southeast corner of the park, noting a diversity of native, introduced, and so called “invasive” organisms, which seemed to thrive despite unfavorable conditions (eg. 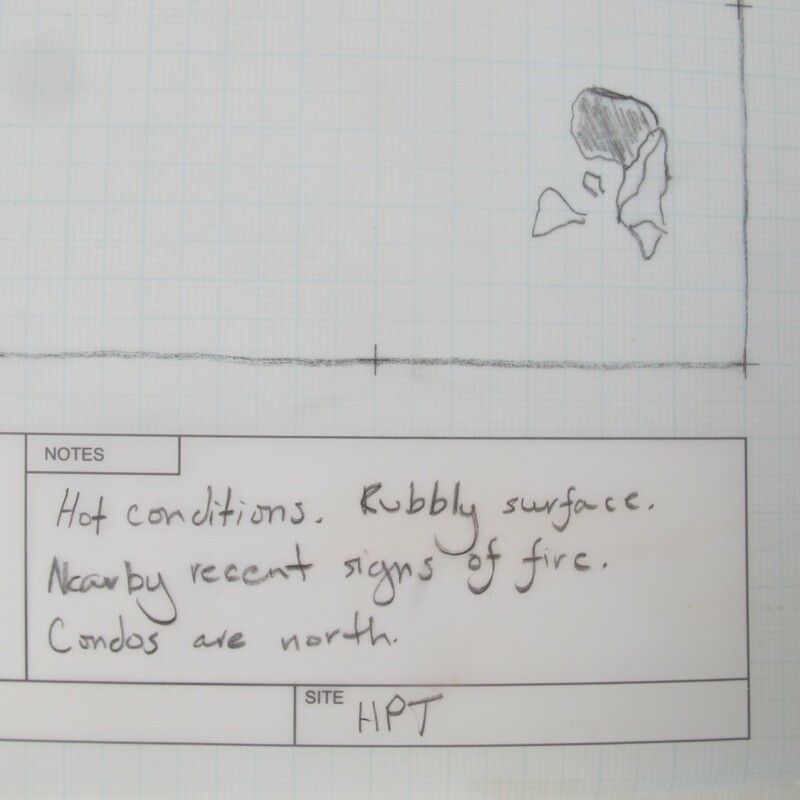 salt from snow plows, car exhaust, stormwater runoff etc). 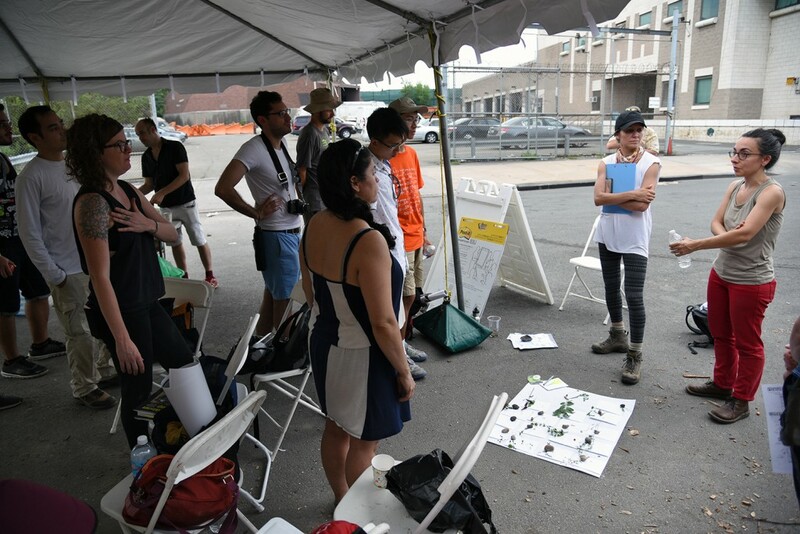 As a stark contrast to the maintained spaces in nearby parklands, these “hiway” ecologies unfold as open borders and hybridized ecotones that mirror a trans-global urban commons emblematic of the surrounding neighborhoods of Flushing and Corona, Queens. 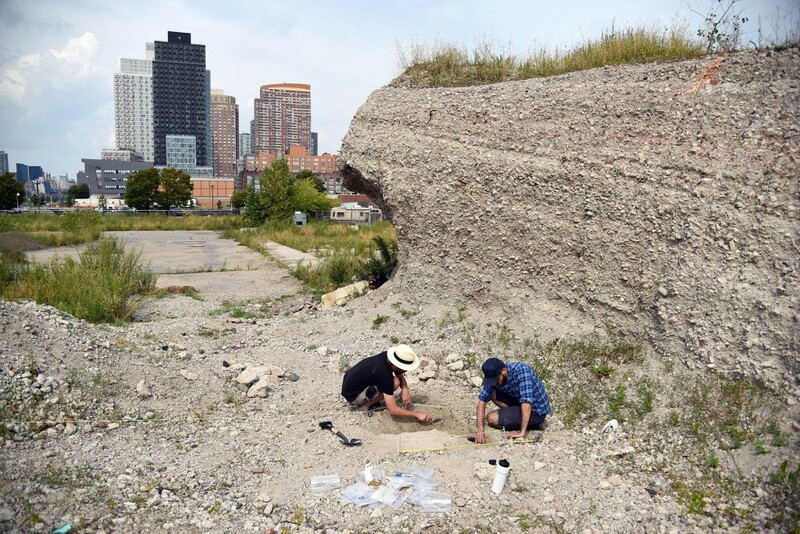 This broadsheet shares research and documentation of this unique site, while speculating on new conceptions of urban wilderness or ‘marginal nature’. 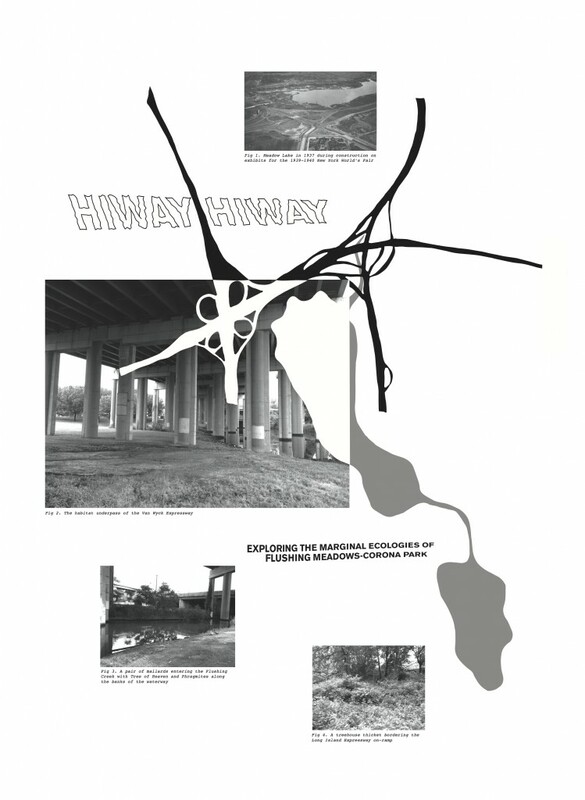 Download the PDF version of hiway/hiway here! 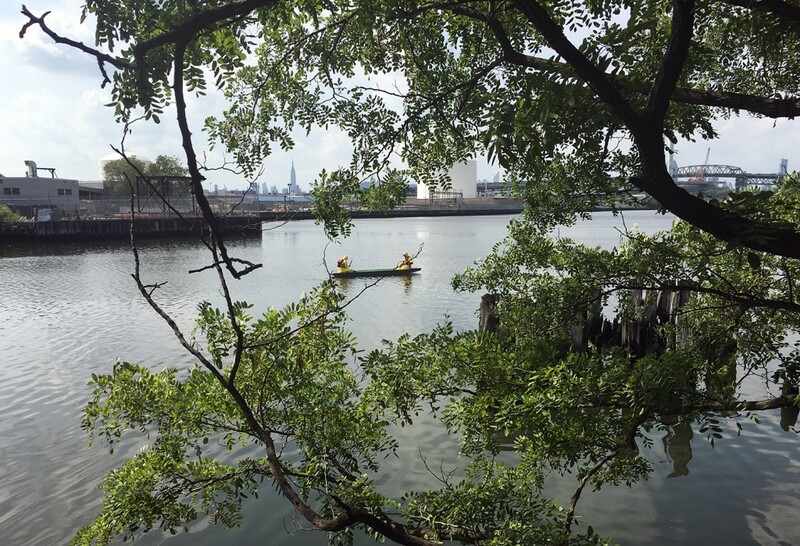 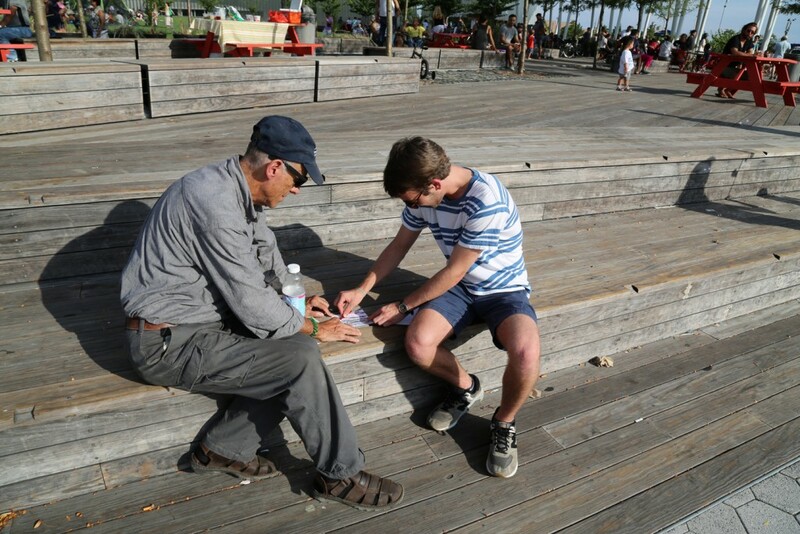 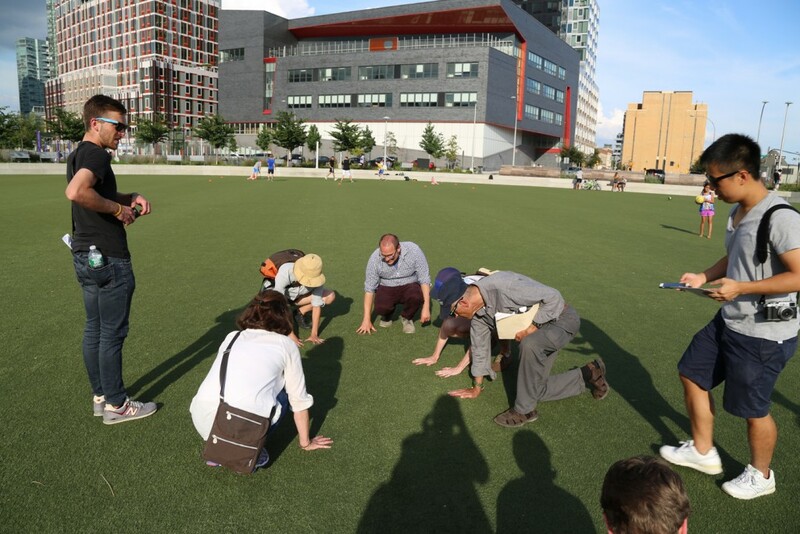 On August 6th, 2016, Chance Ecologies launched a day of artist-led actions along the wild edges of the Newtown Creek. 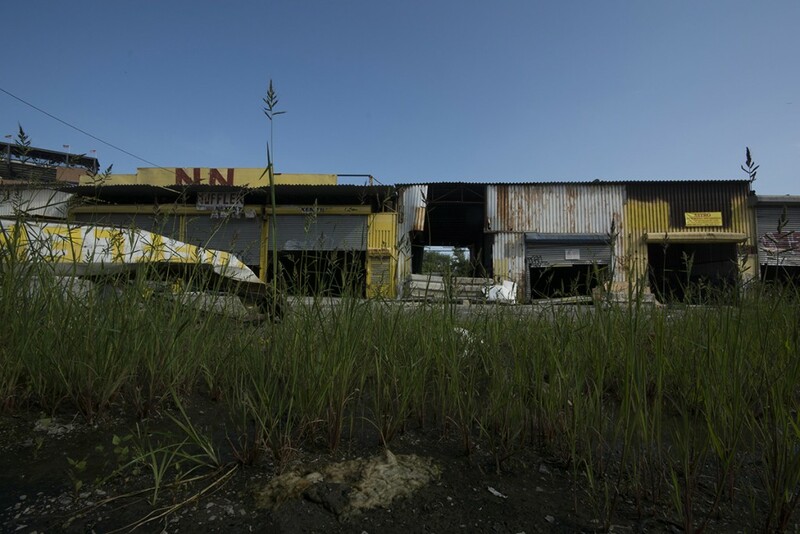 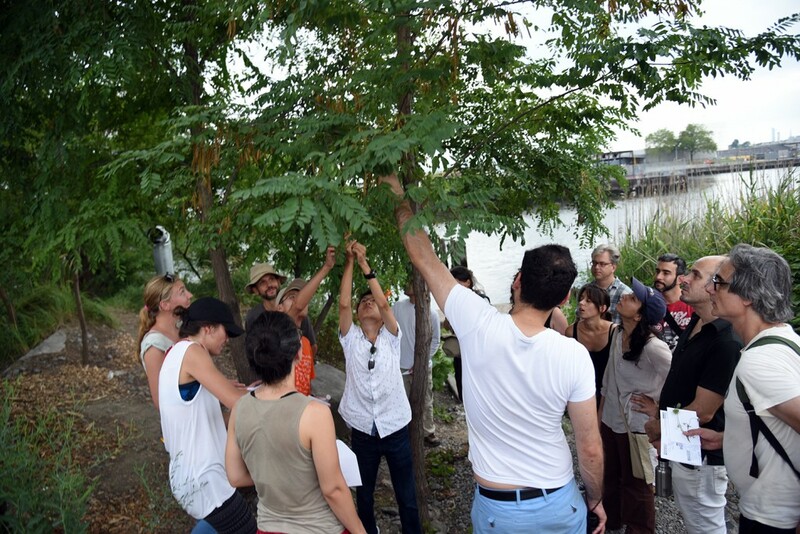 This program of participatory public art events, titled Chance Ecologies: Newtown Creek, was created for the Queens Museum as part of Nonstop Metropolis: The Remix, the launch of Rebecca Solnit and Joshua Jelly-Schapiro’s New York atlas Nonstop Metropolis at the Queens Museum, which will take place in November 2016. 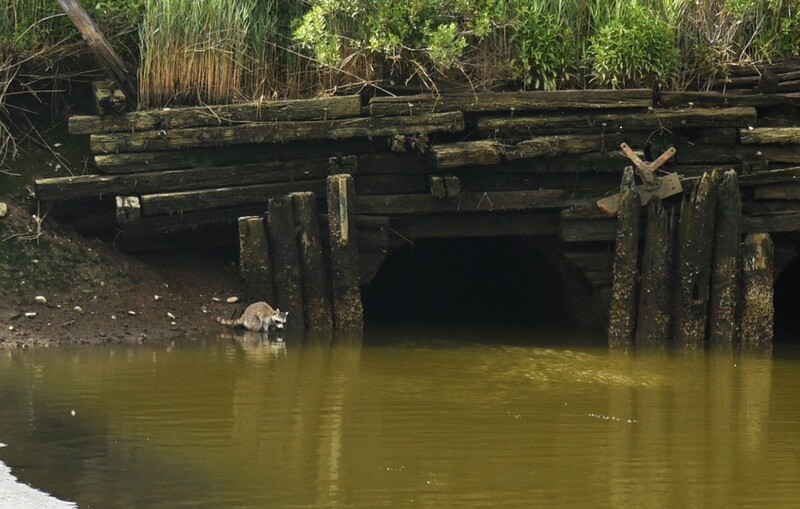 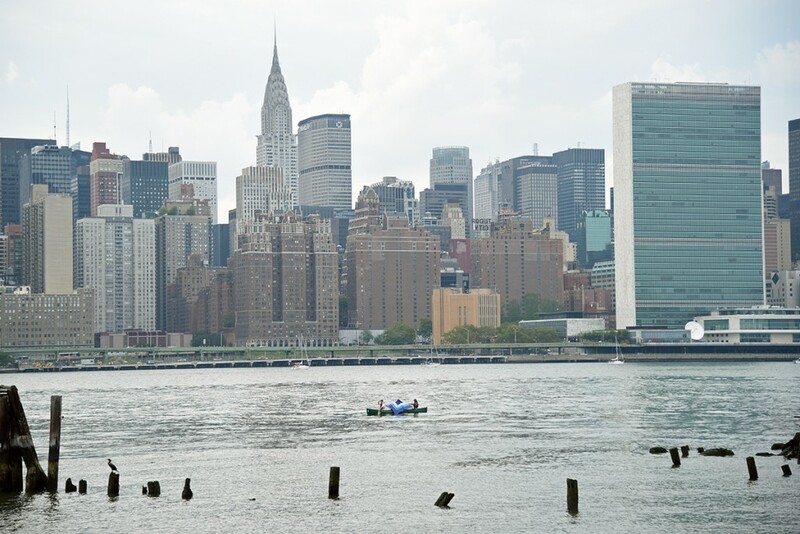 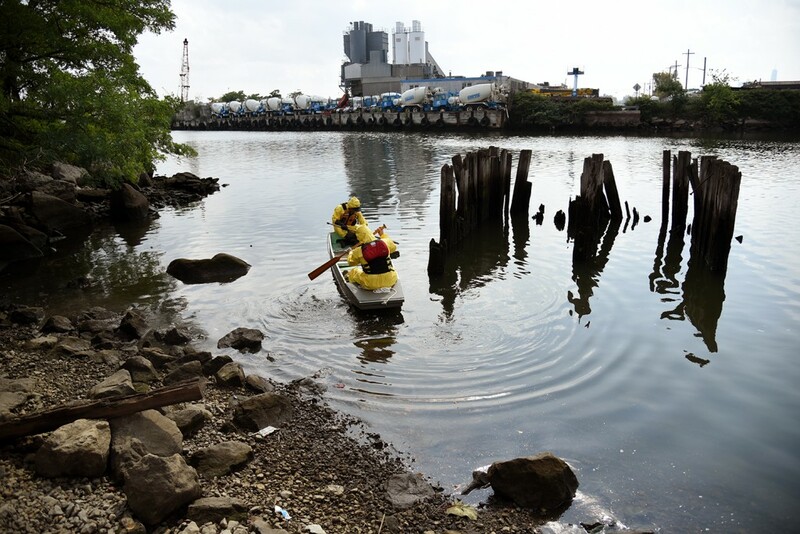 Curated by Catherine Grau and Nathan Kensinger, in response to an essay by Rebecca Solnit from the Atlas, the days events began with an introduction to the Newtown Creek as a source of artistic creativity and a haven for wildlife. 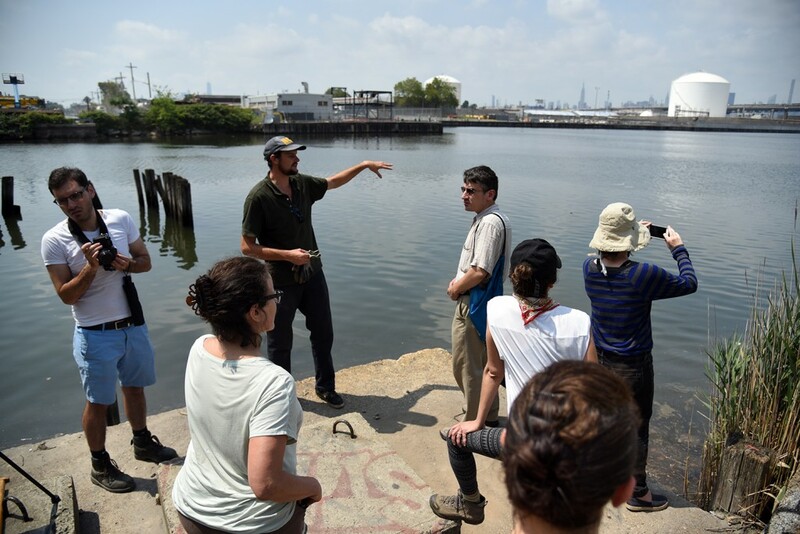 The introduction included a talk by the Newtown Creek Alliance, Chance Ecologies community partner for the day, from Willis Elkins, who gave an overview of the work being done at Plank Road, the site of the day’s events. 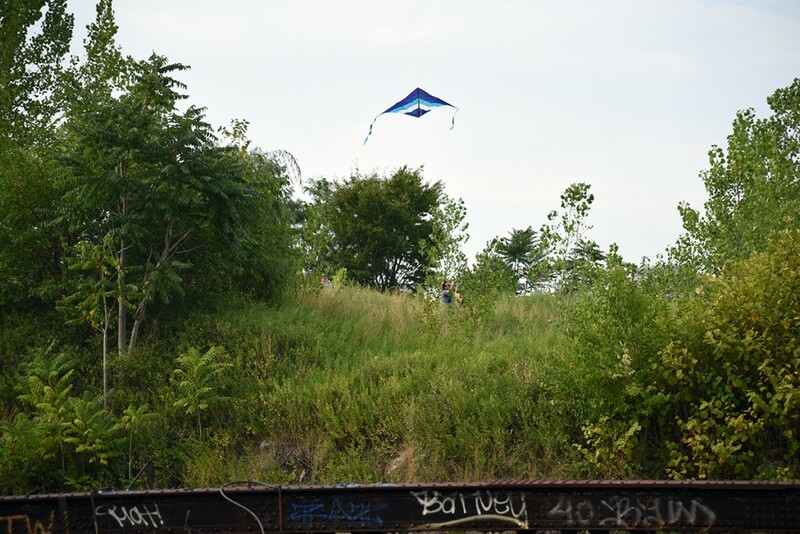 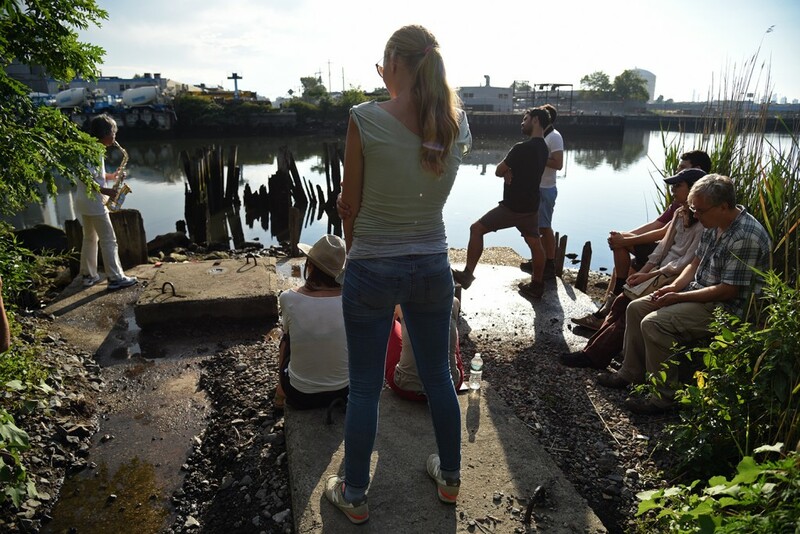 The public was then invited to explore the wild-growing waterfront and participate in a series of overlapping artist-led events taking place at the edges of the creek, a Federal Superfund Site, including walks, workshops, performances, and video installations. 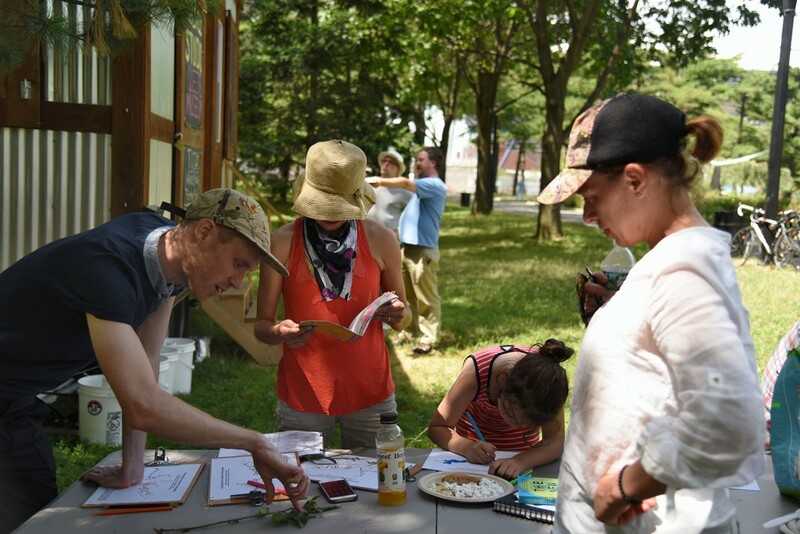 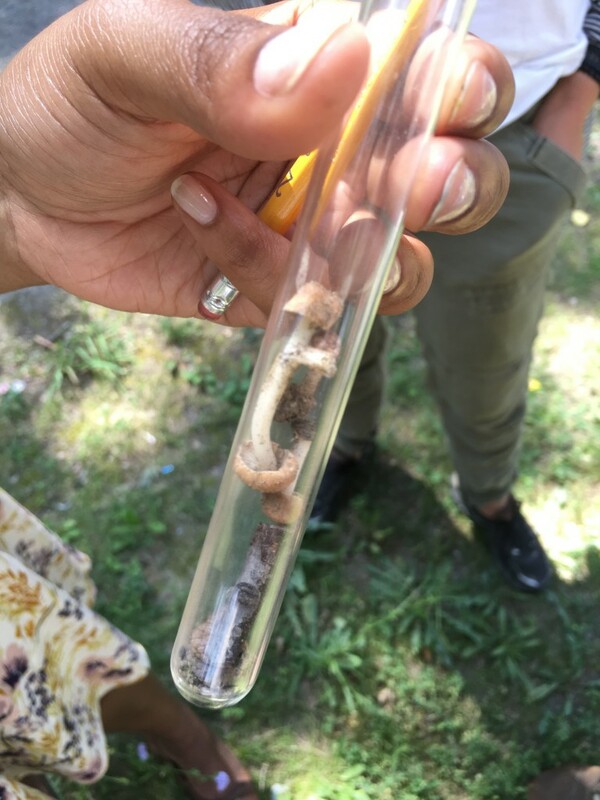 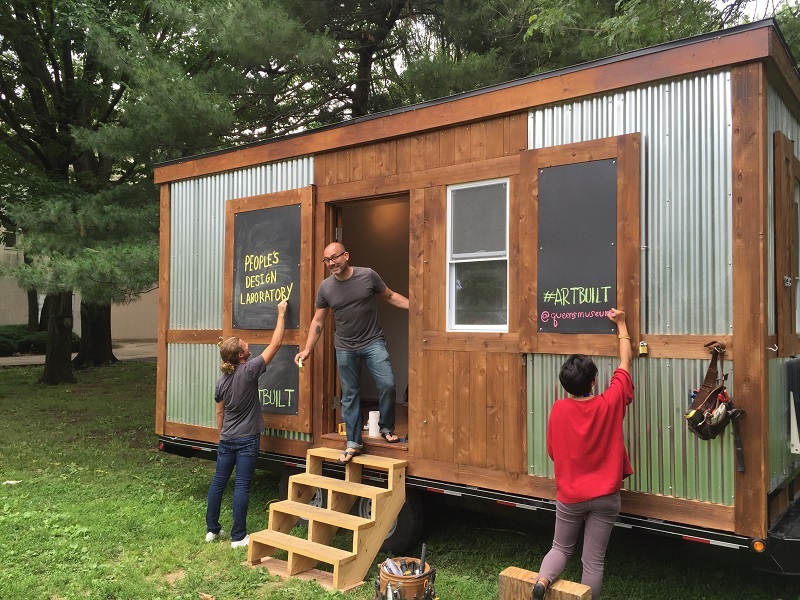 During the course of the day, an enthusiastic group of families, local residents, artists, students, and curious visitors joined in with the artists of Chance Ecologies to creatively explore Plank Road. 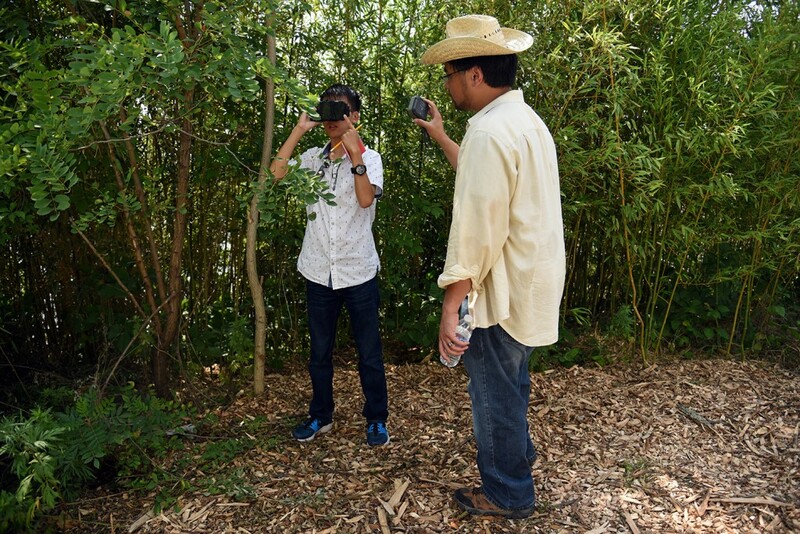 New media artist Edrex Fontanilla guided visitors through the virtual landscape of Hunter’s Point South; the artists of the Newtown Creek Armada (Laura Chipley, Nathan Kensinger & Sarah Nelson Wright) installed a video porthole transporting viewers underneath the waters of the Newtown Creek; choreographer Lise Brenner led a group in creating a danceable map of the vegetation onsite; walking artist Dillon de Give facilitated paired walks and conversations, Edmund Mooney & Dylan Gauthier rowed out onto the creek in a handmade boat to create a sonic bridge sound performance, Ellie Irons & Anne Percoco assisted visitors in identifying and collecting seeds from weedy species, Natalia Roumelioti (ntilit) organized a performance by sound artist Tamio Shiraishi, and curator Catherine Grau ended the day with a wild call to the various species that call this chance ecological landscape home. 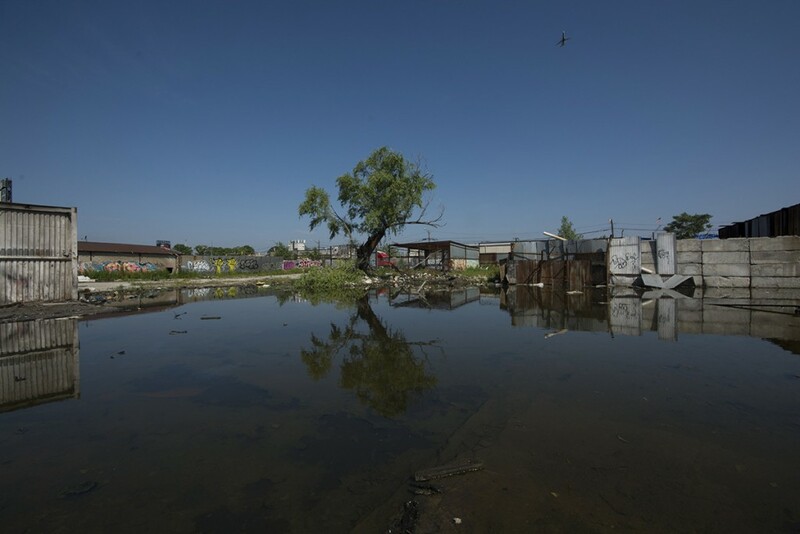 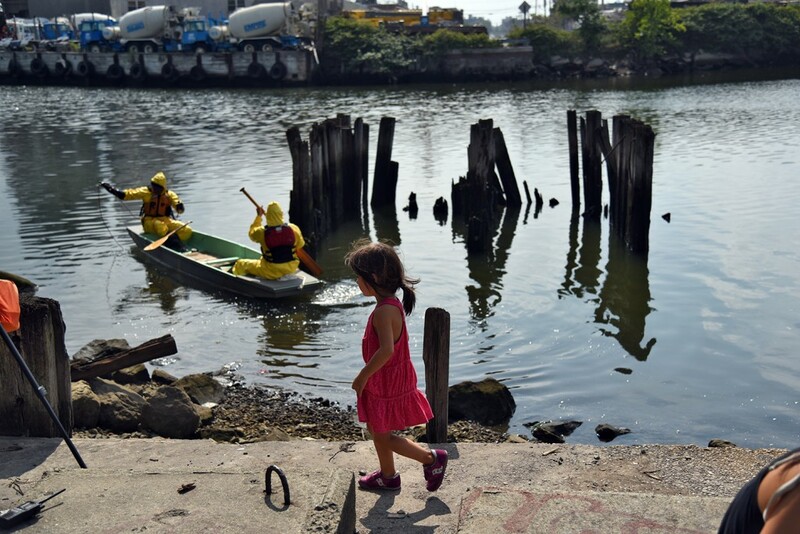 Chance Ecologies: Newtown Creek will be included in an exhibit at the Queens Museum in October 2016. 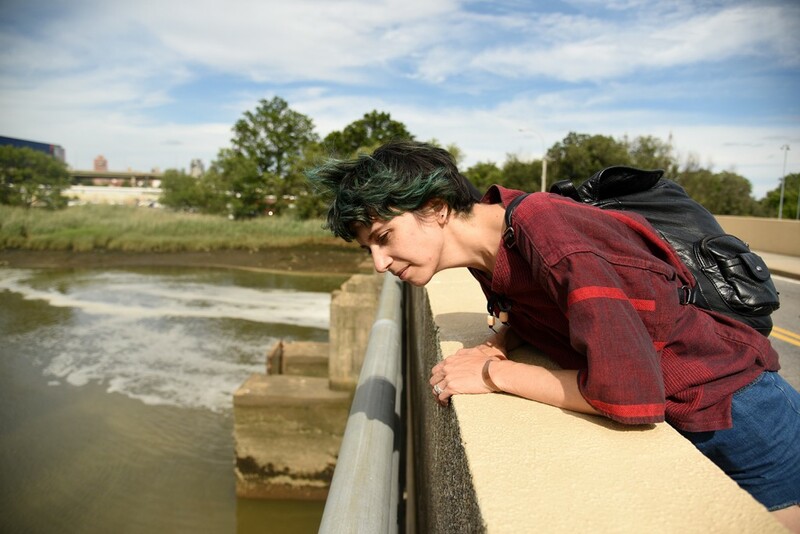 After a week at the studio, investigating the return of nature to several man-made structures along the Flushing River, artist Marisa Tesauro concluded her mini-residency with a brainstorming workshop, imagining future ecologies for the ruined remnants of the Worlds Fair. 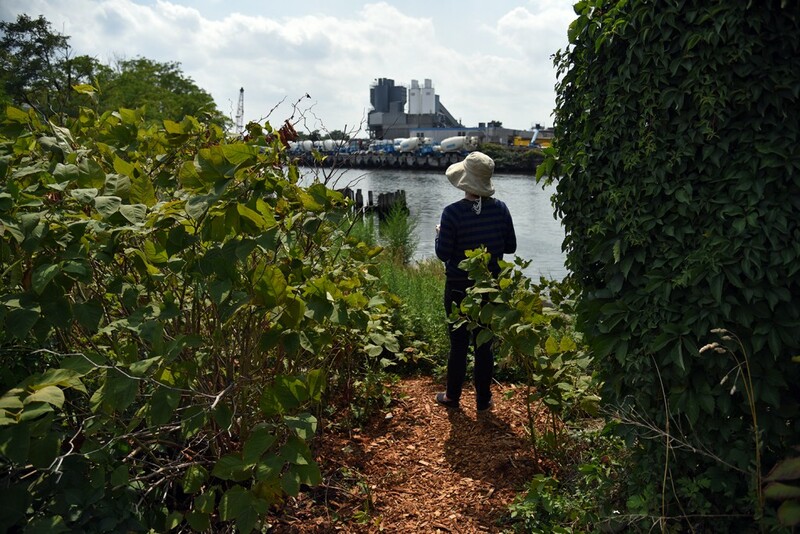 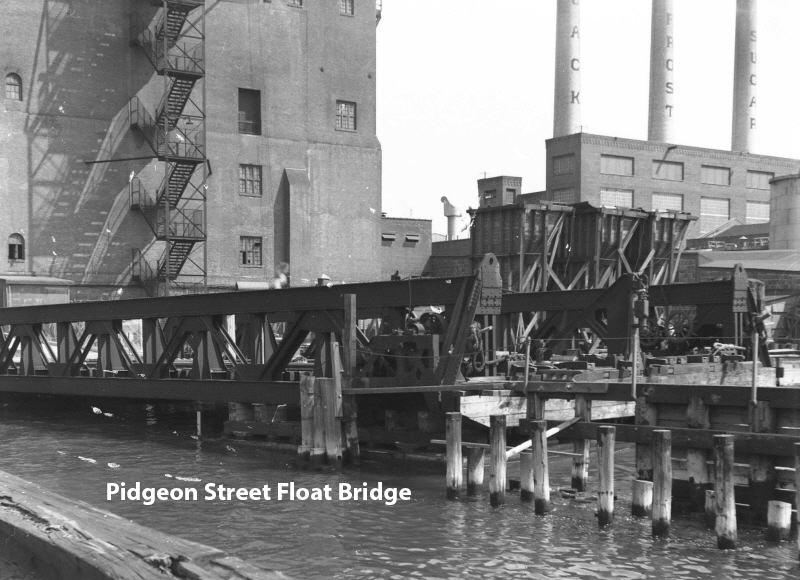 Much of the natural landscape of the Flushing River has been reshaped by industry, architects, and artists in previous decades, leaving behind many unique structures, some of which have since been overtaken by the elements. 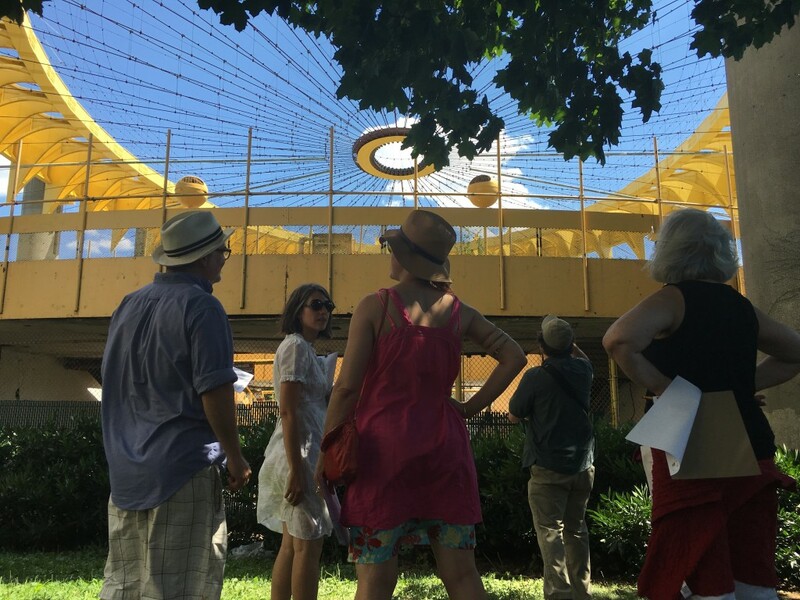 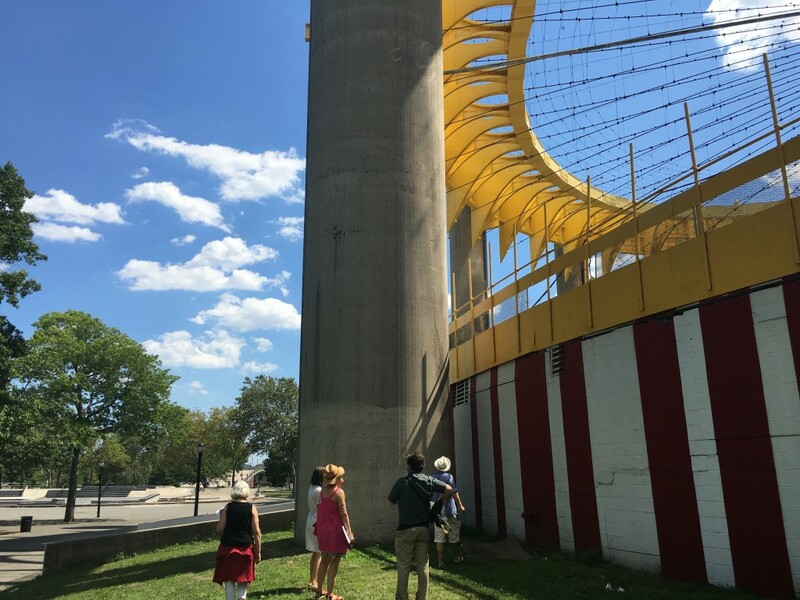 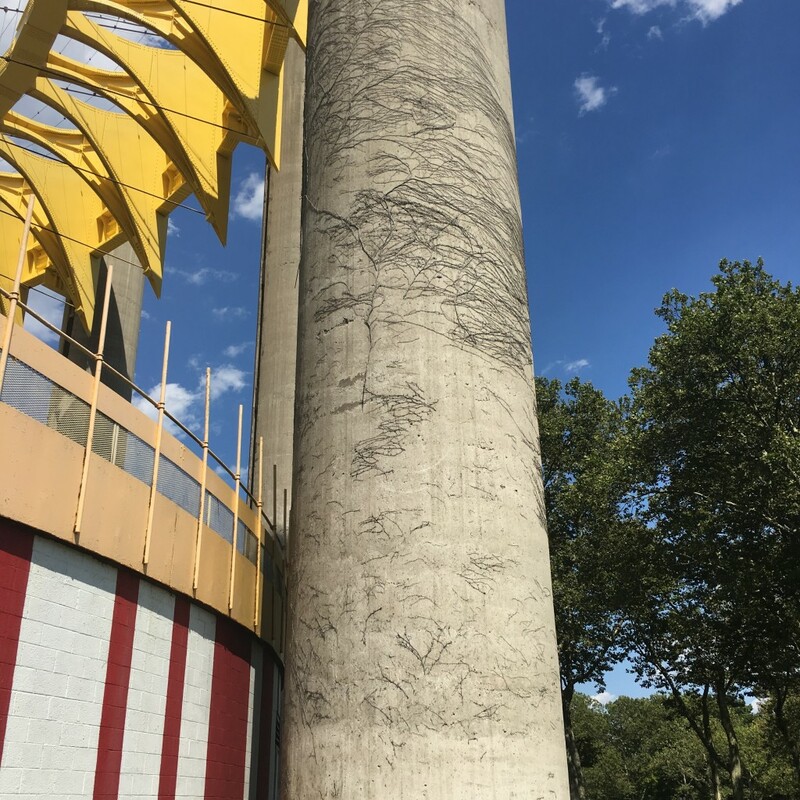 Participants met at the Studio In The Park, before walking over to the remains of the New York State Pavilion, designed by Philip Johnson for the 1964-65 World’s Fair, to look at how nature has reclaimed parts of this evocative structure, including the Tent of Tomorrow and the iconic observation towers. 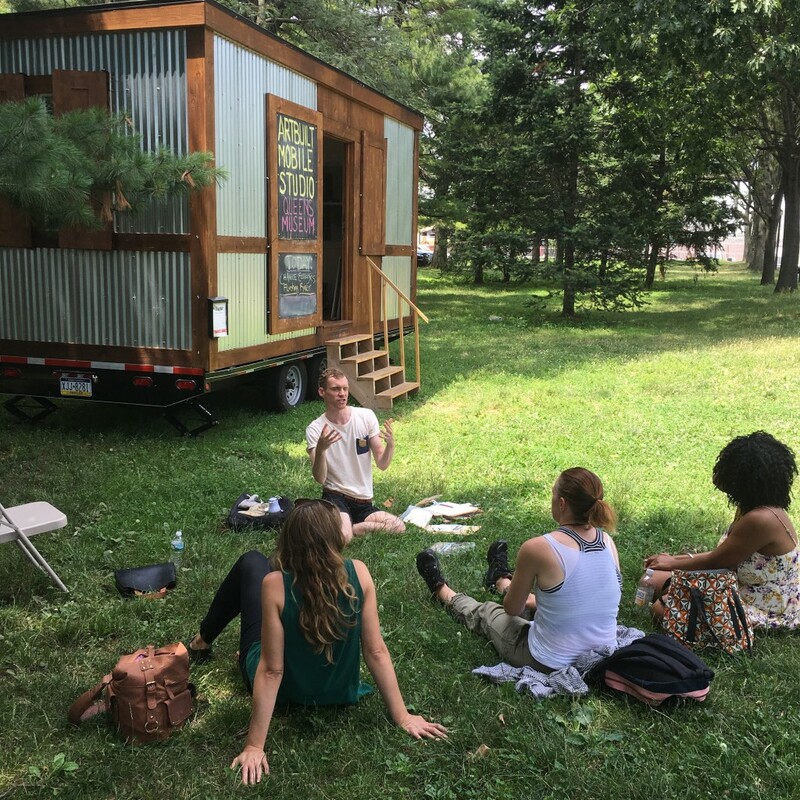 A recent call for ideas may soon reshape the future of the pavilion, but Tesauro led a creative conversation on how to see nature’s role in repurposing these kinds of structures, instead of humans trying to impose structure onto nature. 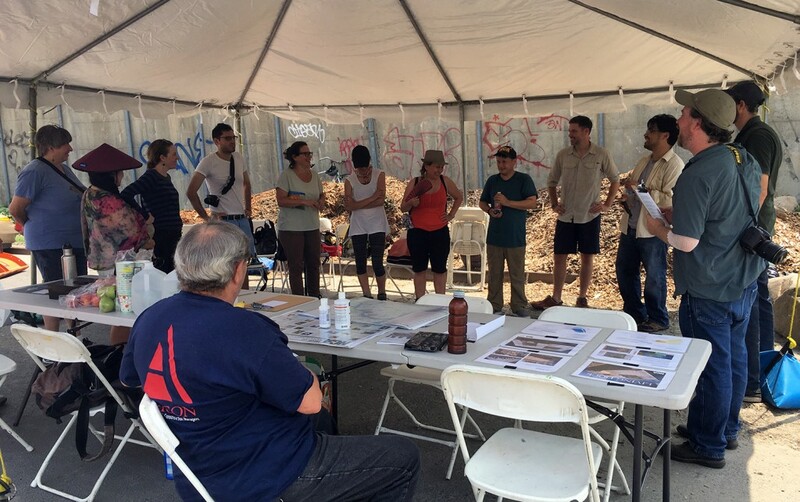 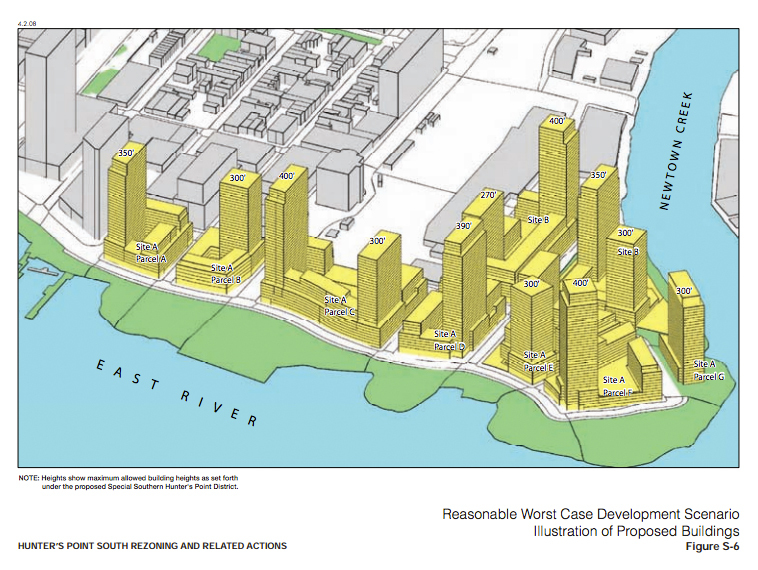 Participants returned to the studio to share notes, create drawings, and imagine what the future of these structures along the river could be. 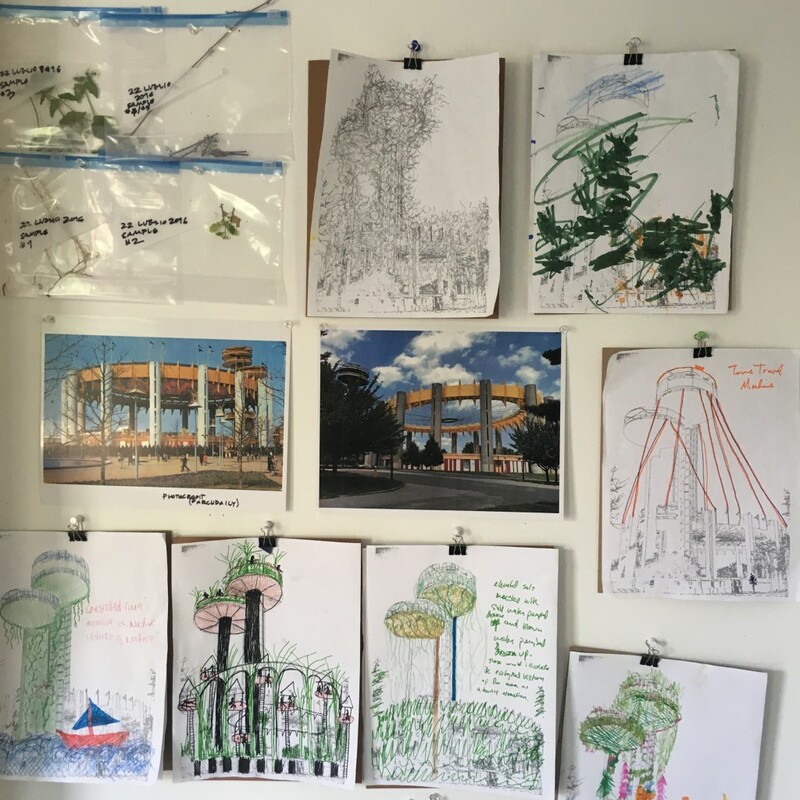 These sketches are now on display in the studio trailer. 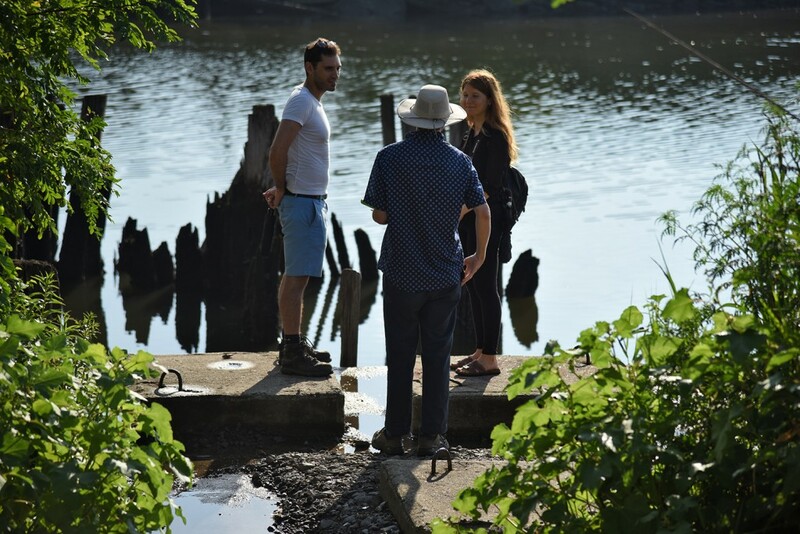 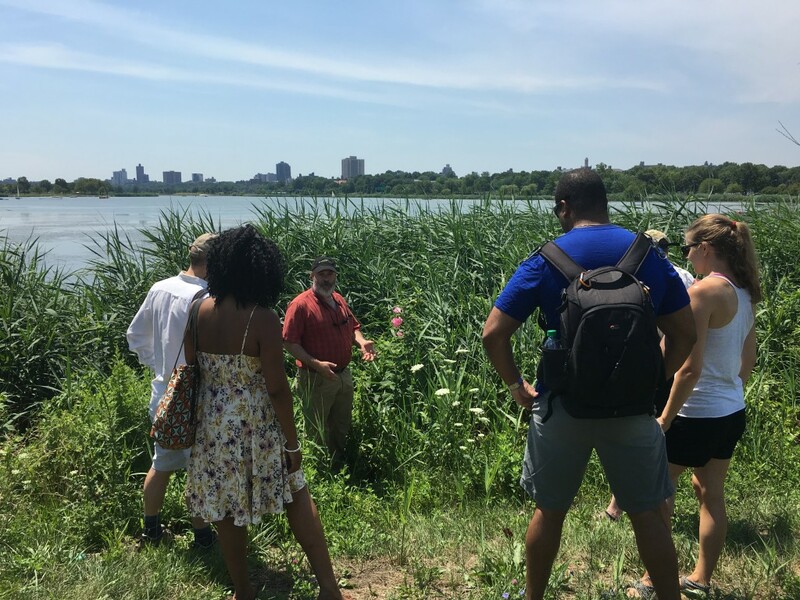 During the second week of Chance Ecologies: Flushing River, artists Joianne Bittle and Chris Kennedy and Joianne Bittle conducted their week-long residencies along the Flushing River. 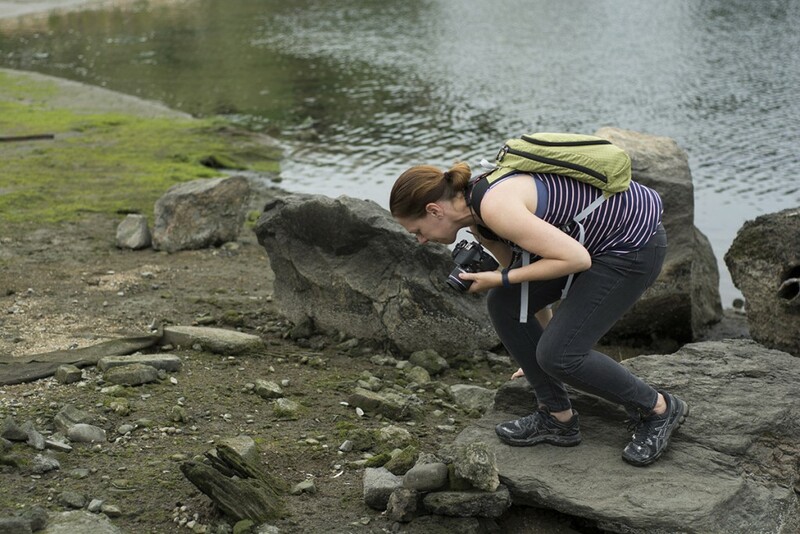 Artist Joianne Bittle spent the week privately mapping the park’s ecology through a series of walks, weaving in and out of observing and sampling biological life, with a focus on plankton samples, and reciting from a selection of literary readings, including Samuel Beckett’s The Lost Ones (1971) and Guy Debord’s Theory of the Dérive (1958). 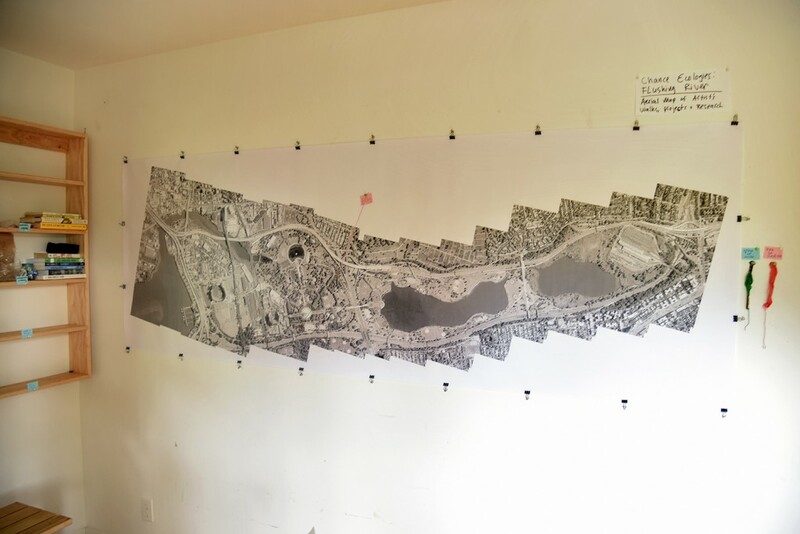 Bittle’s mapping process resulted in a series of five booklets, called “Chance Proverbs in 5 Acts.” On Saturday July 16th, the public was invited to join Joianne Bittle and naturalist Mike Feller for a public walk through Flushing Meadows Corona Park, as they discussed the geological history of the landscape, as well as the complex ecological consequences of the man-made urban park environment. 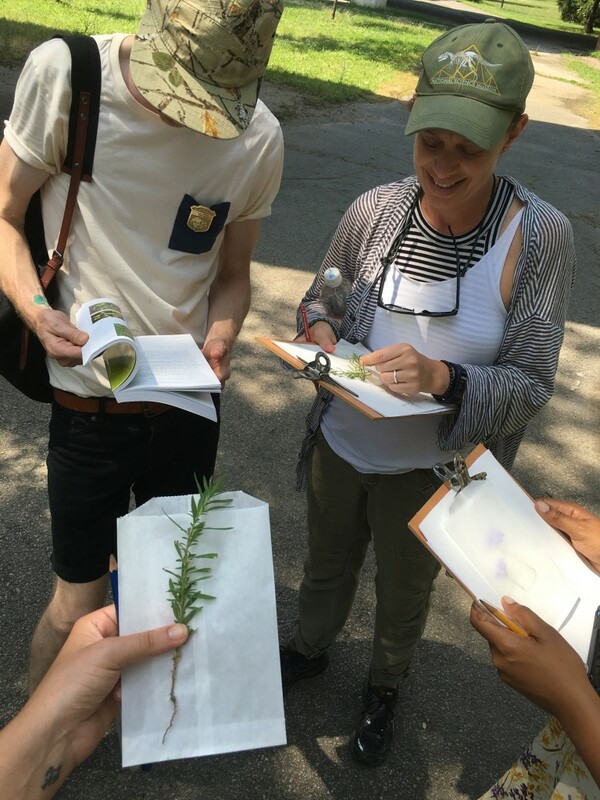 Teaching artist Chris Kennedy spent the residency exploring the flora and fauna around a unique liminal space of the park, where the hidden Flushing River runs through a myriad of highway overpasses. 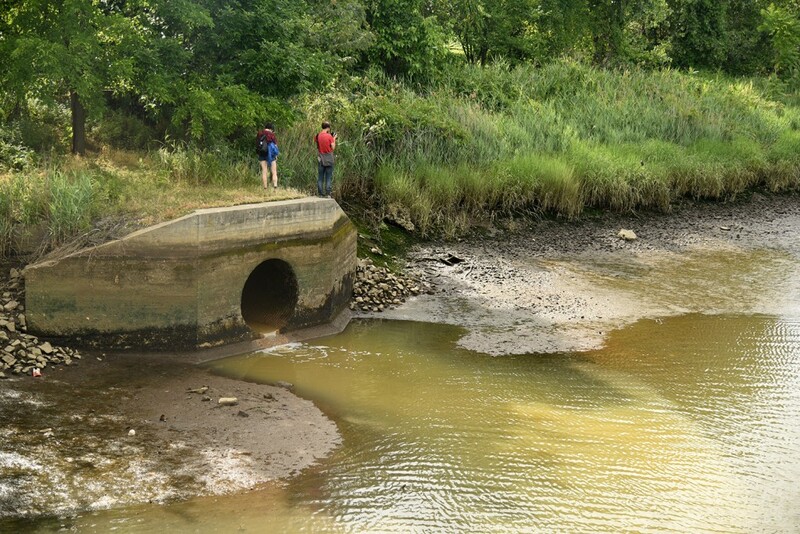 Here, runoff water from the highways is funneled to the creek, or to biological catch basins. 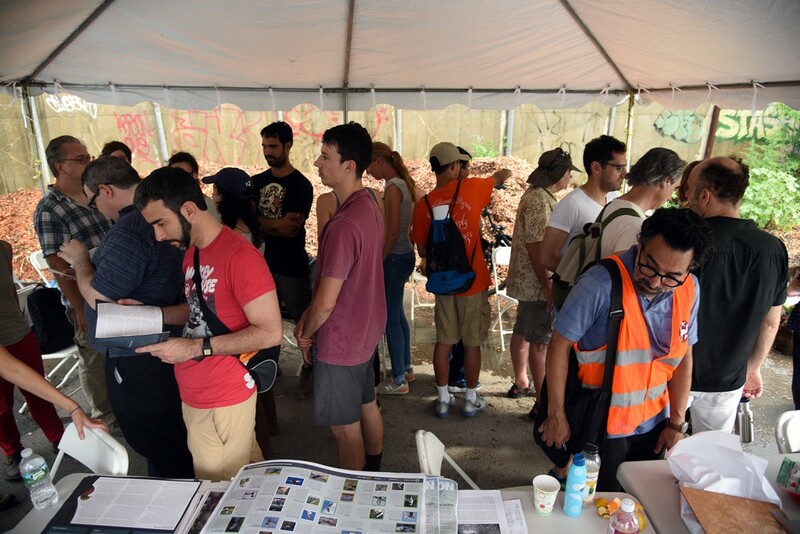 During the public event Chris Kennedy took visitors on a Hiway Safari that lead into the the highway underpass overgrowth in a performative expedition featuring landscape sketching, plant pressing techniques, and surface samples in test tubes. 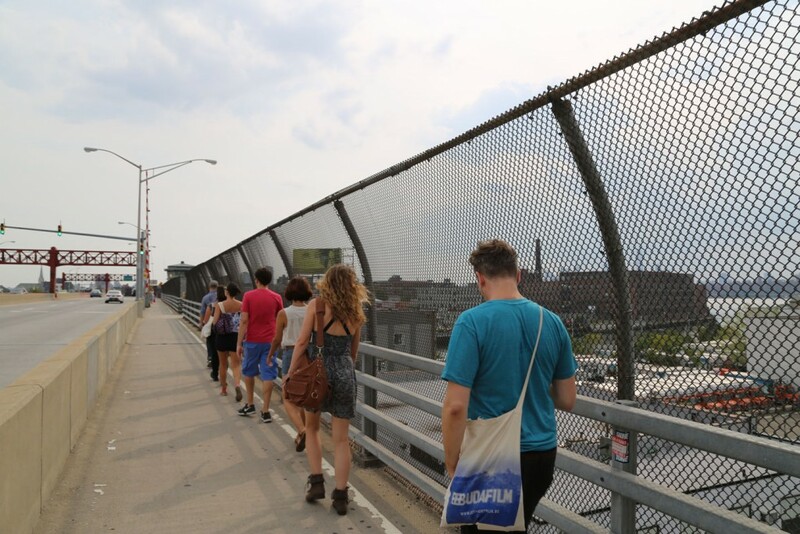 We are pleased to announce a weekend of walks, talks, screenings and panel discussions as part of the Chance Ecologies exhibition at Radiator Arts, open through Jan. 22nd, 2016. 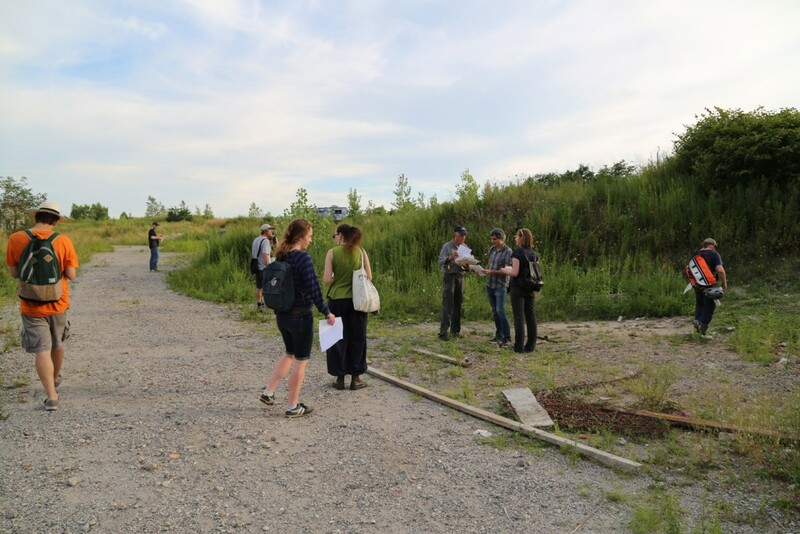 Events will be held at the gallery as well as in and around the site of Hunter’s Point South, Long Island City, and continue to explore the value of unplanned wild spaces within the urban environment. 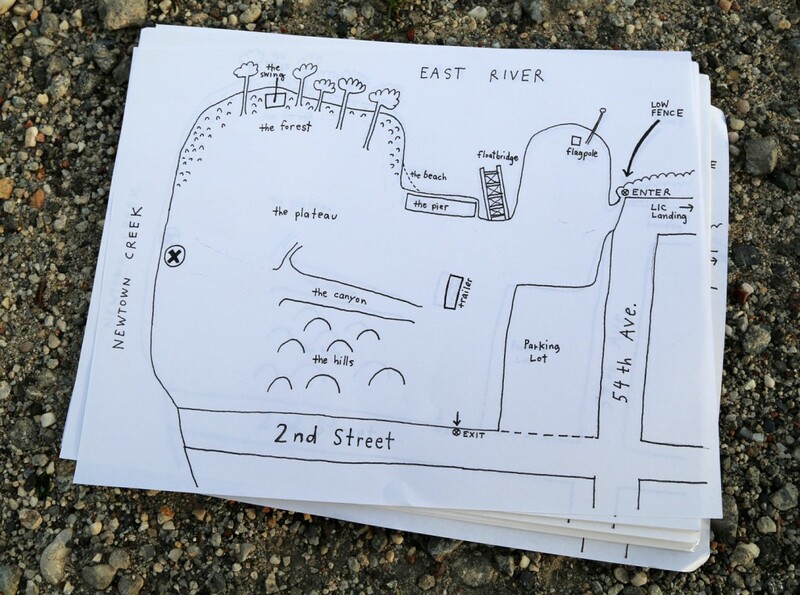 Endangered Surfaces Walk to Hunter’s Point South – an experimental walk by Christopher Kennedy and Ellie Irons. 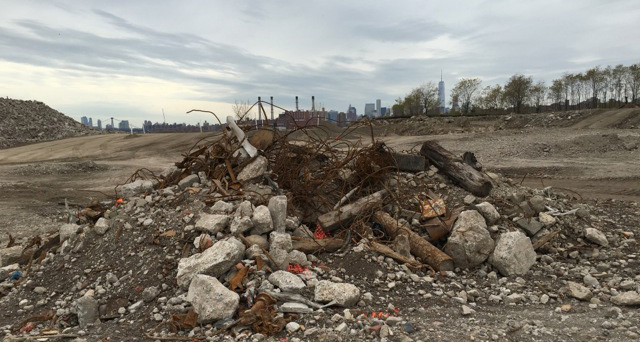 Tracing the border of Hunter’s Point South, this participatory walk will explore the remains, edges, and overlaps of the myriad surfaces that covered the land before development began last September. 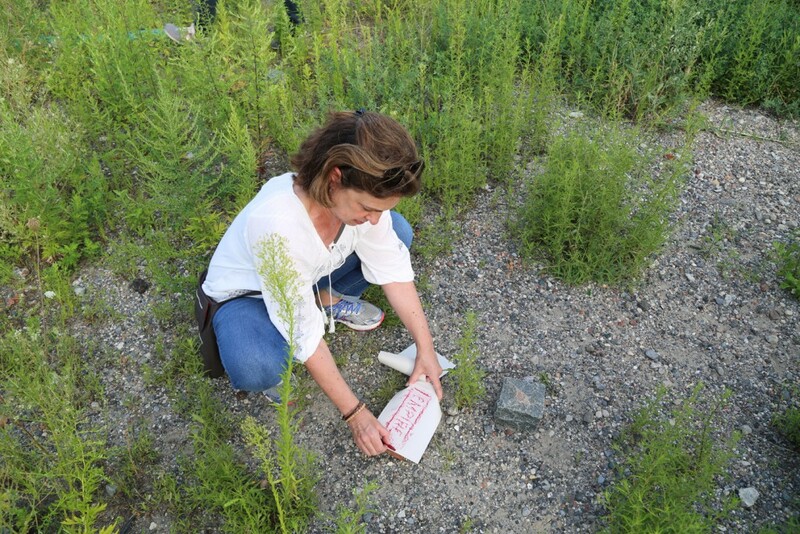 Screening of “For the Birds” – a series of site-specific video works by Joianne Bittle, followed by a discussion of the selected texts and observations in the field with the artist. 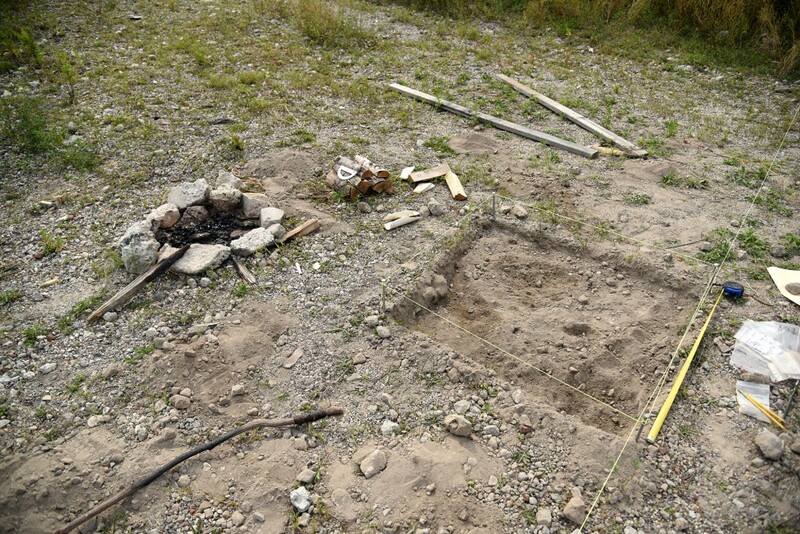 Archaeological Panel: “Art, Archaeology and the Curious Activity of Digging Up Nothing” – a public discussion reflecting on the experience and concepts of performing an archeological dig. 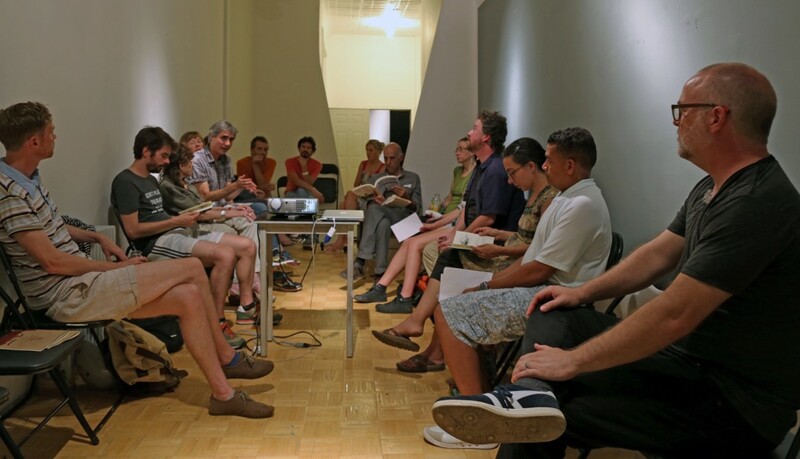 Curators talk and brunch, hosted by Radiator Arts. 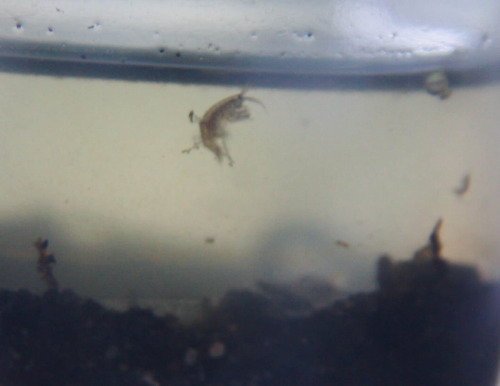 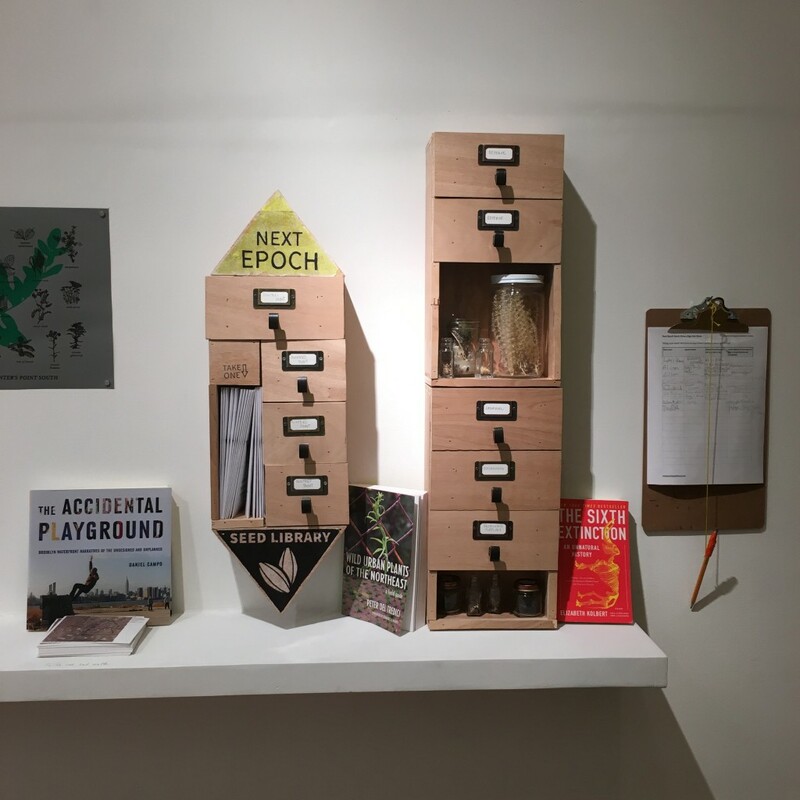 The curators of Chance Ecologies (Catherine Grau, Nathan Kensinger, and Stephen Zacks) will give a walk through of the exhibition and engage in a public discussion about the underlying themes of Chance Ecologies. 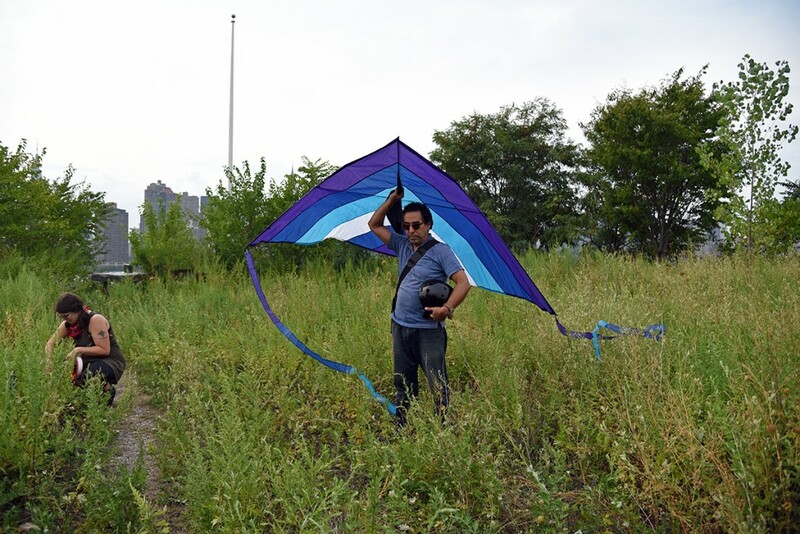 Site and Field: Listening to Hunter’s Point South – an Electromagnetic Field Listening walk by Dylan Gauthier. 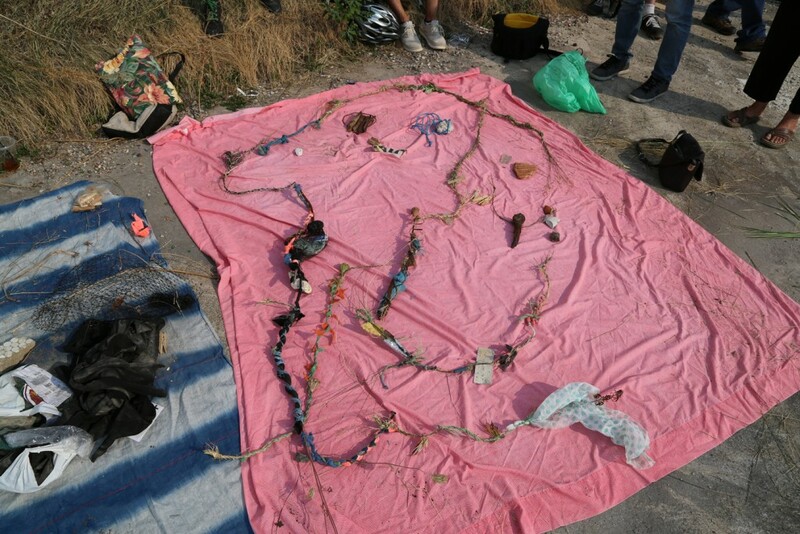 Ceremonial Score – For Grieving the Loss of a Wild Landscape, a participatory performative ritual developed by Allison Danielle Behrstock in collaboration with and facilitated by Catherine Grau. 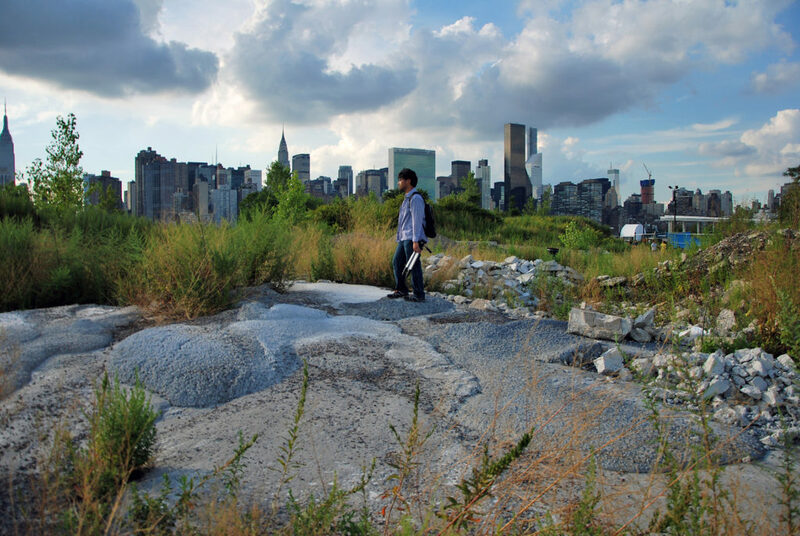 The Rotation of the Earth presents the Sunset – a brief experimental sunset viewing by Dillon de Give. 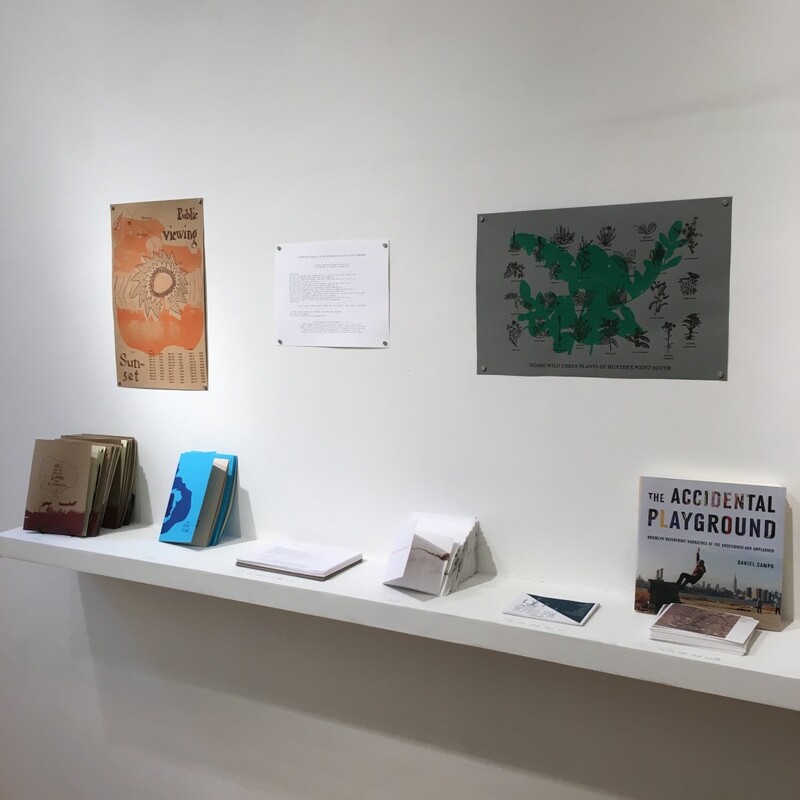 Please feel free to pick up a poster listing the exact times of the sunset for the duration of the Chance Ecologies exhibit at Radiator Arts. 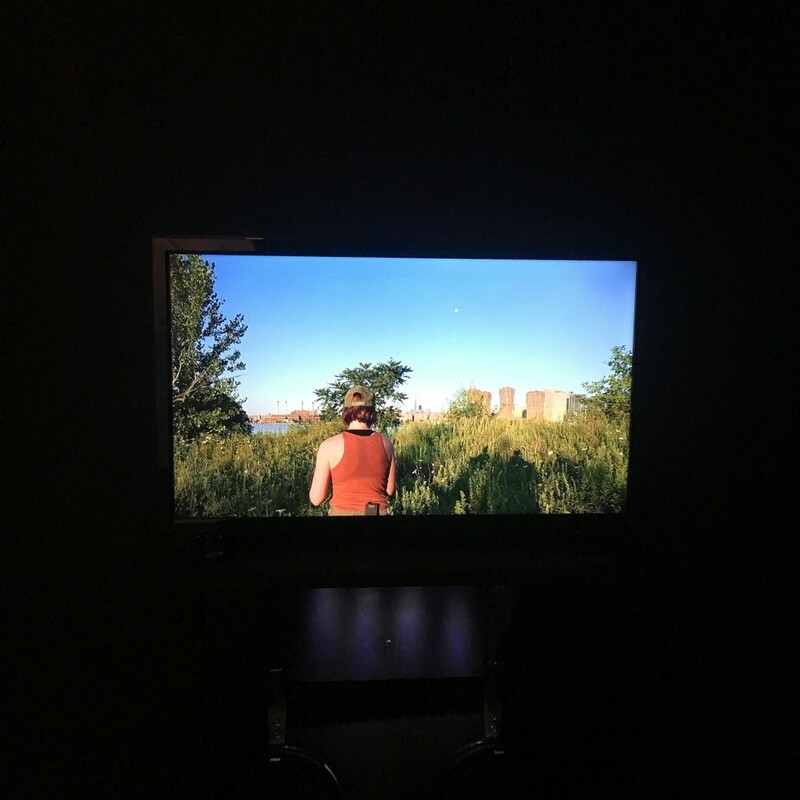 On December 17, 2015, Chance Ecologies: The Wild Landscape of Hunter’s Point South opened at the Radiator Arts Gallery in Long Island City, Queens. 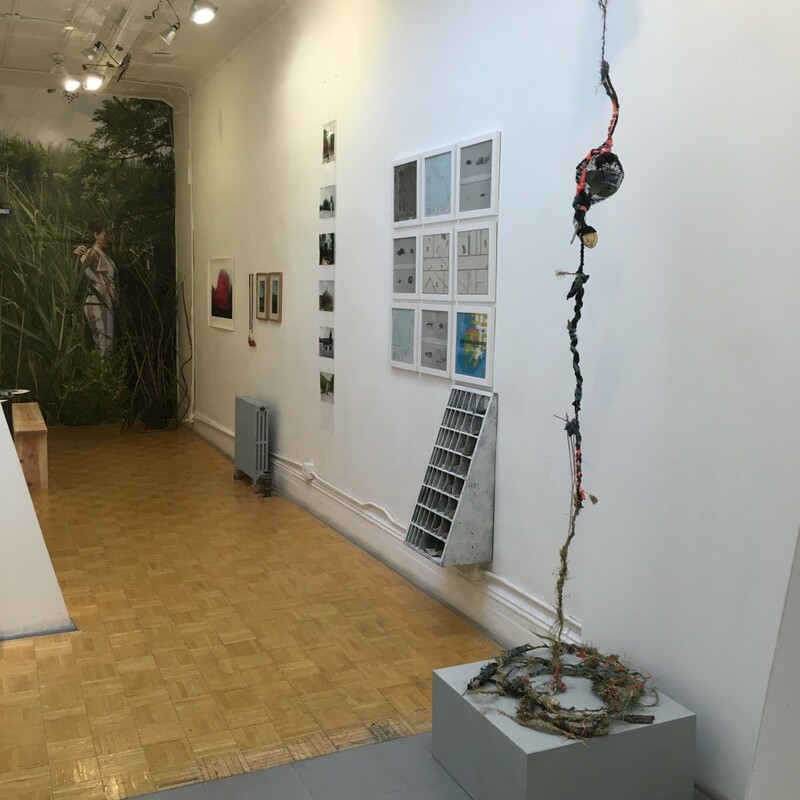 The exhibit, featuring over 17 local and international artists, will be on view through Jan 22nd, 2016. 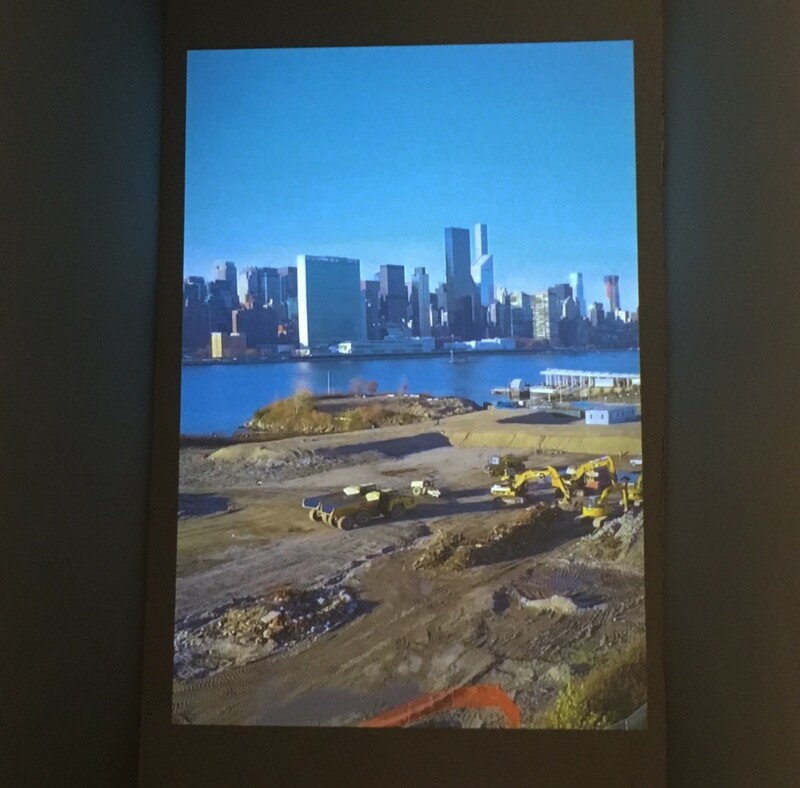 Include below are several views of the gallery installation. 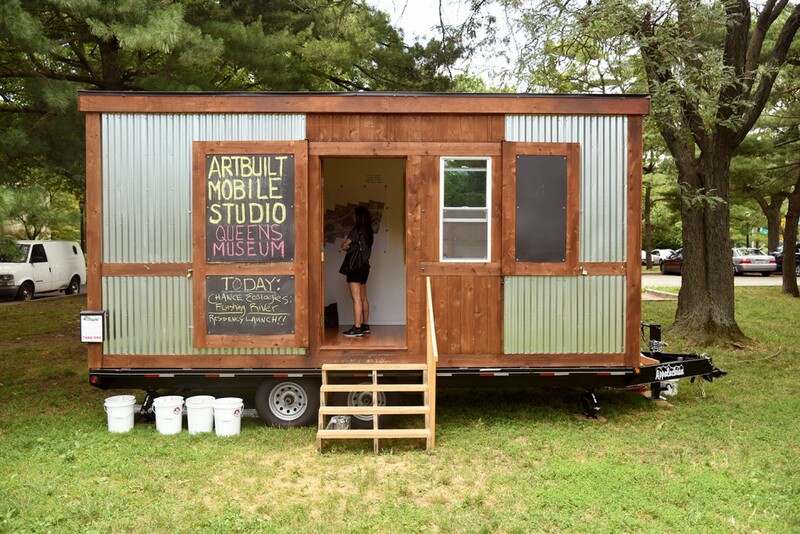 Radiator Arts gallery hours are Fridays and Sundays – noon to 6pm. 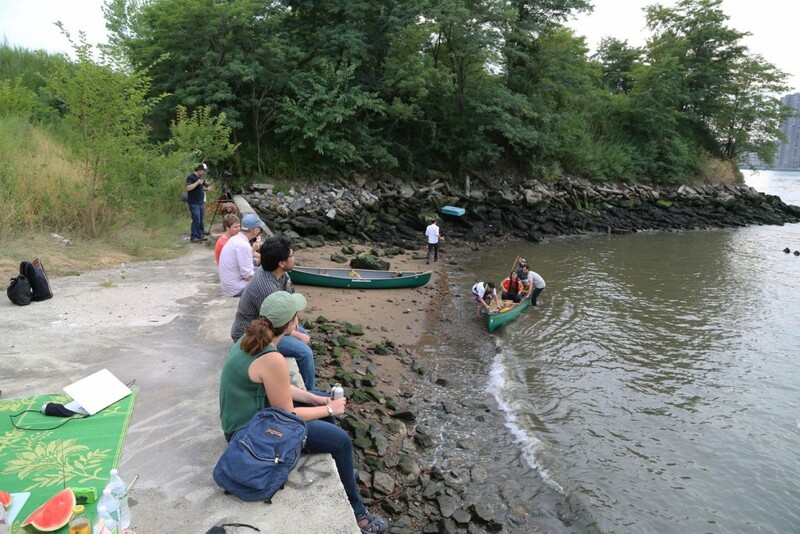 On Sunday August 30th, Chance Ecologies continued its monthlong series of events with Dylan Gauthier’s Stolon/Station – a hacker wilderness radio station that runs on solar power and broadcasts recordings of and about Hunter’s Point South from onsite. 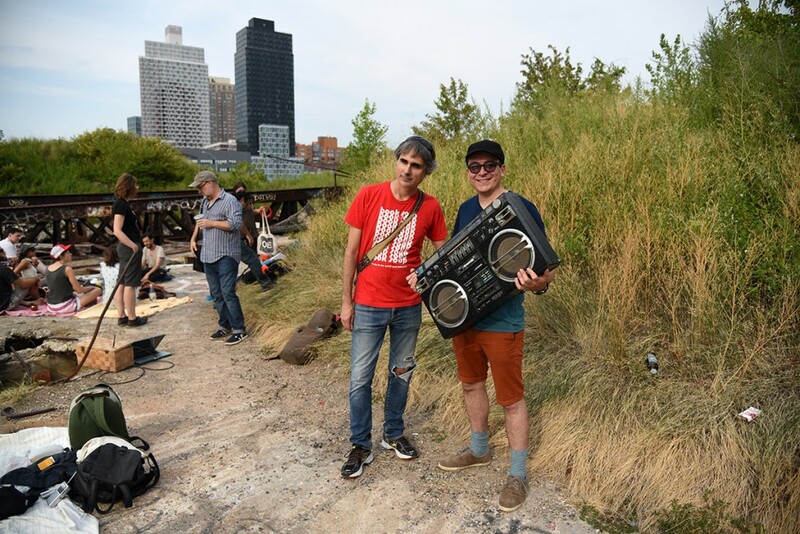 Visitors were invited to bring a picnic and battery powered radios to the site, and to collectively tune in to the Stolon/Station. 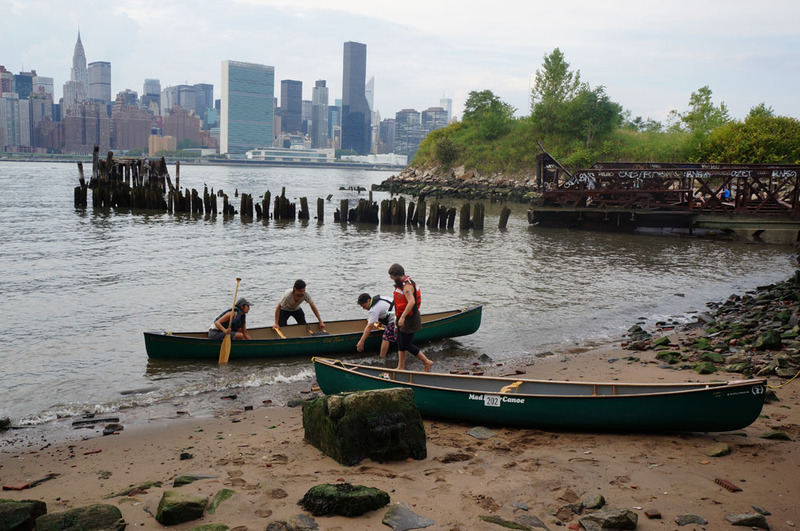 Friends arrived on foot and by canoe. 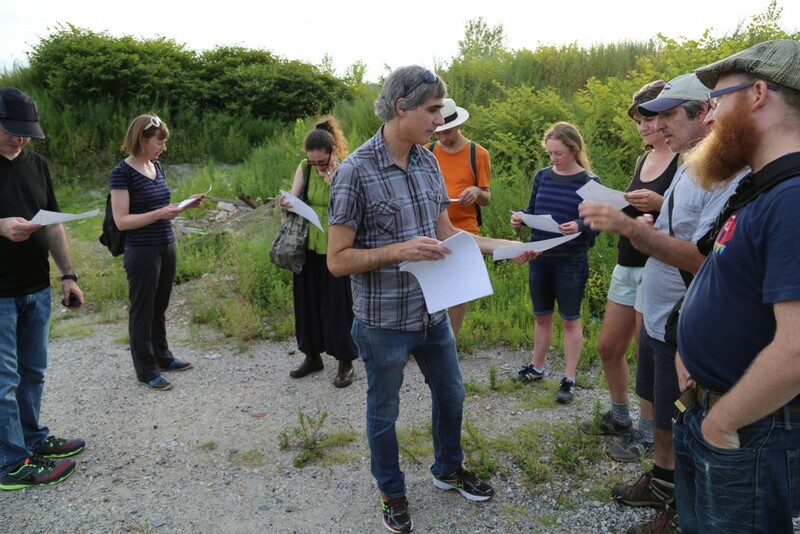 On Sunday August 30th, Chance Ecologies continued its monthlong series of events with Edmund Mooney’s Impossible Shoreline Walk #2. 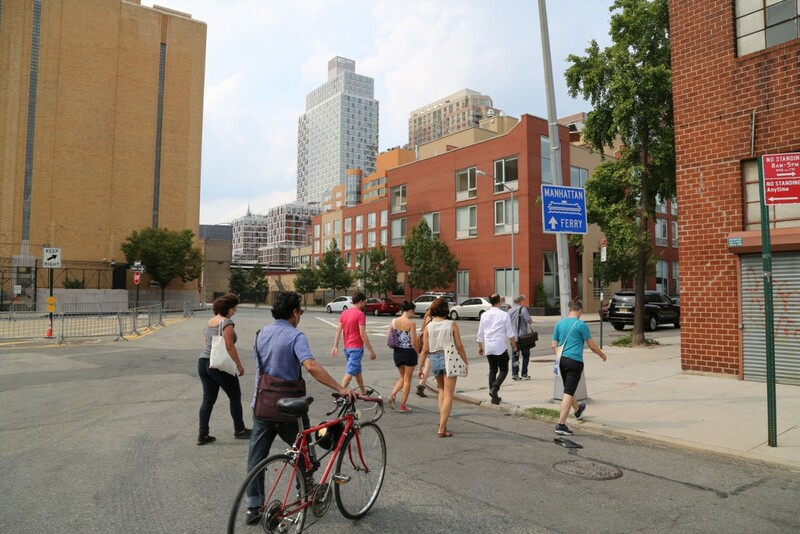 This guided walk traced the former shoreline of Hunter’s Point, which at present day is about three city blocks away from the water’s edge. 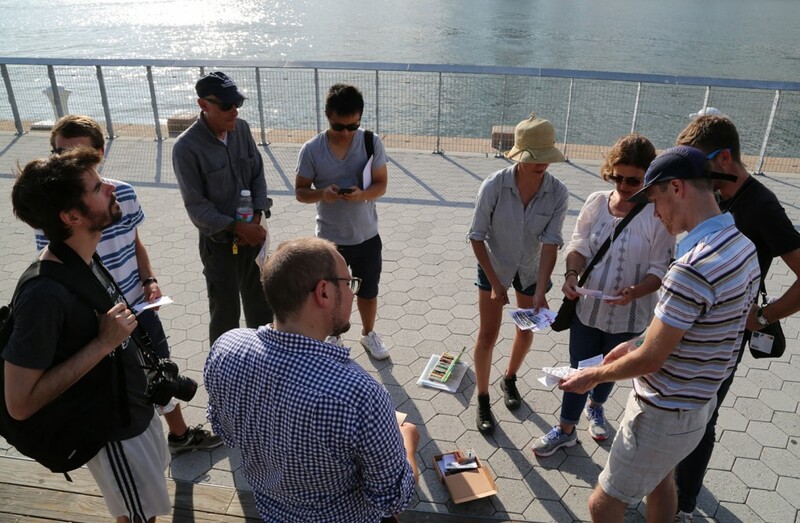 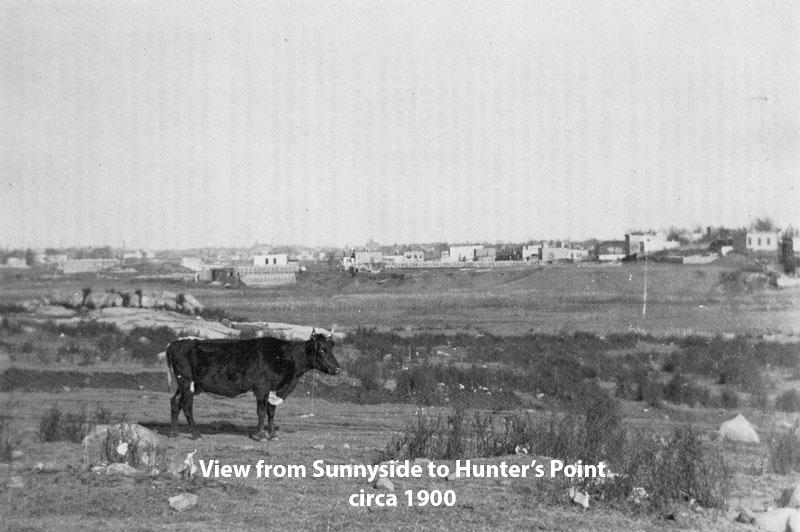 Participants in the walk listened to recordings taken at Hunter’s Point South, including sounds from the current waterfront, while following a route through a geological topography that no longer exists. 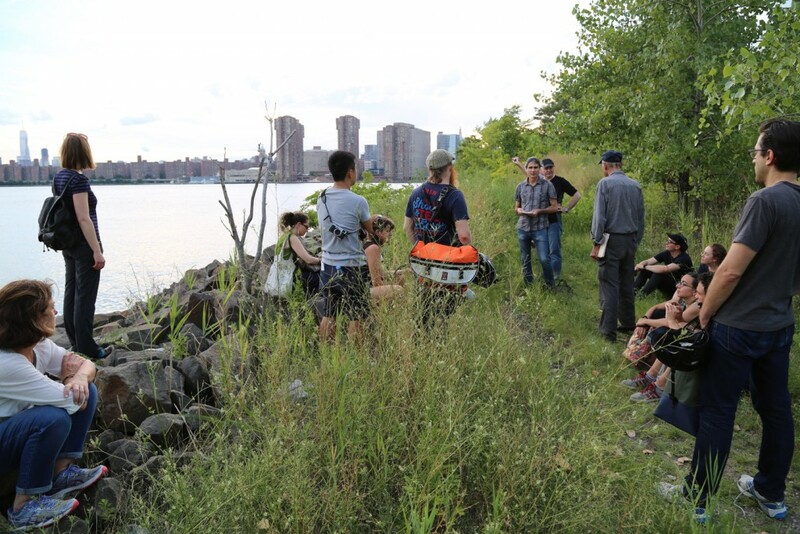 On Sunday August 23rd, Chance Ecologies continued its monthlong series of events with an unguided tour, exploring one of New York’s last accidental waterfront wild spaces before it is swallowed by the voracious development practices that have transformed Queens’s East River edge and the waterfront of the greater city. 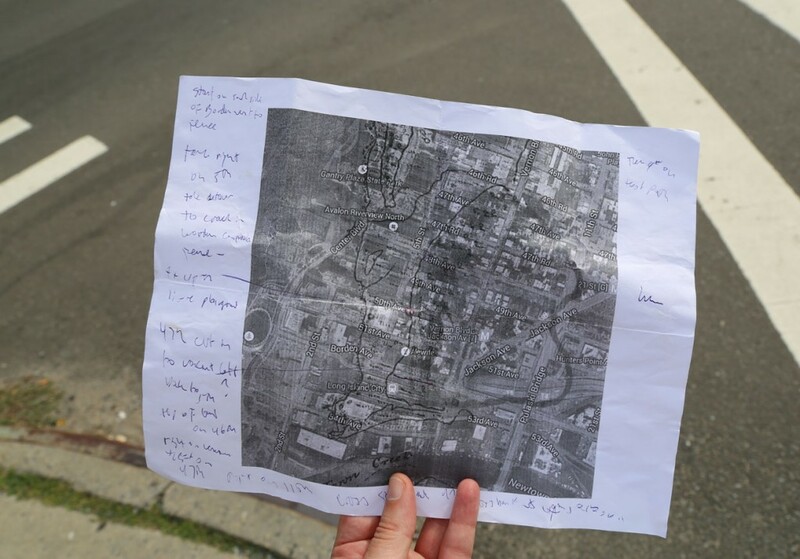 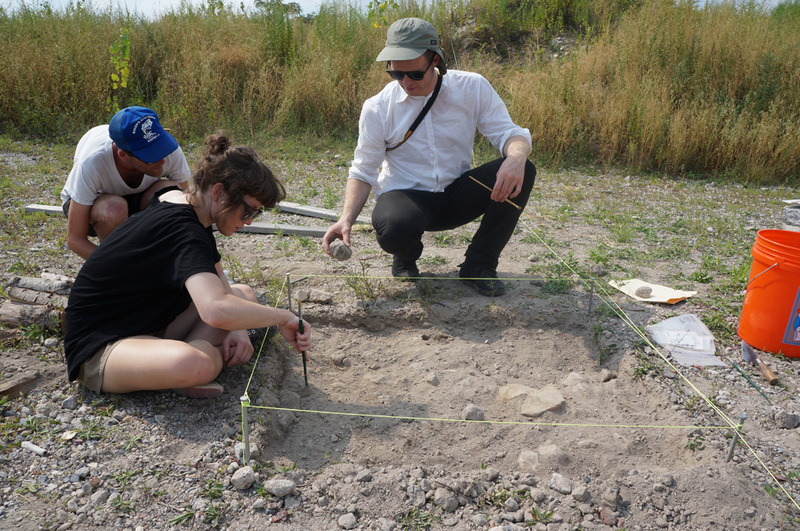 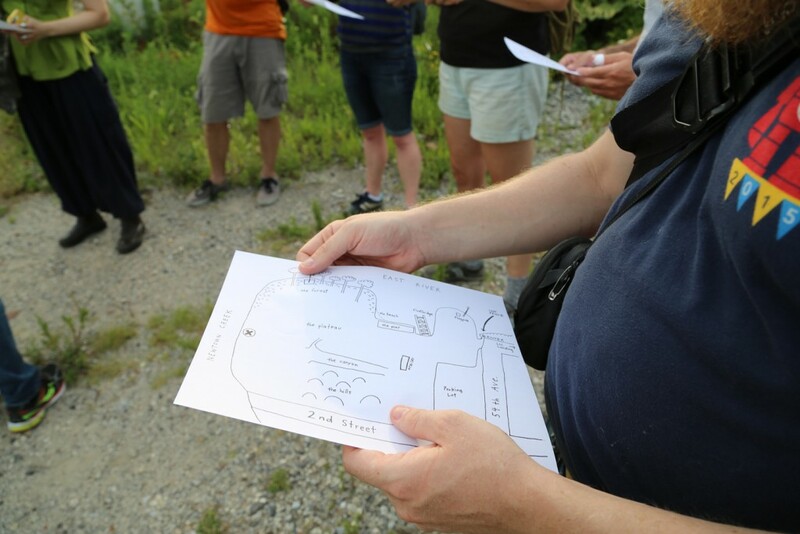 Participants were given a rough map of the terrain and invited to find their own path, traversing the site. 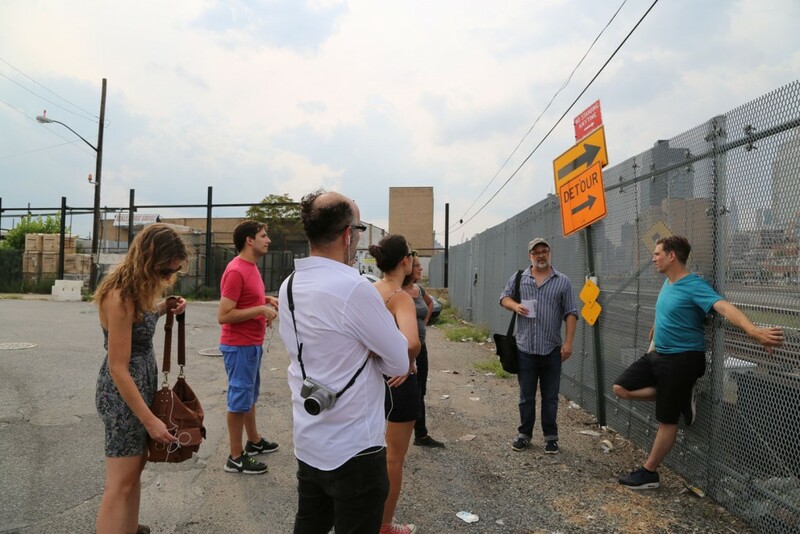 Through intimate and unmediated immersion into this unique post-industrial site, the tour drew upon all of our senses and culminated with an open discussion led by urbanist, critic and professor Daniel Campo, author of The Accidental Playground. 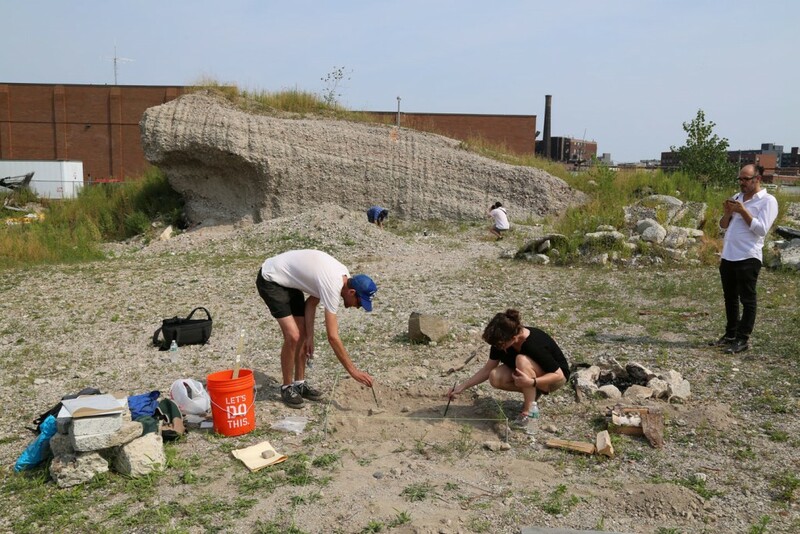 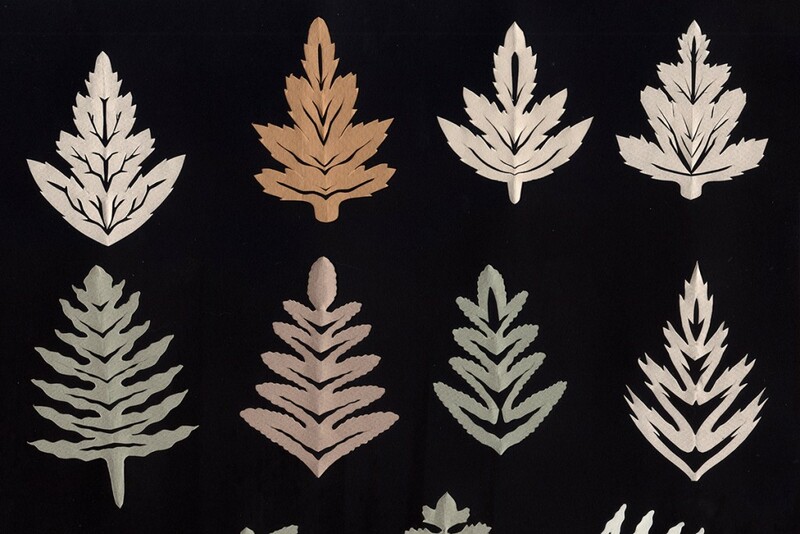 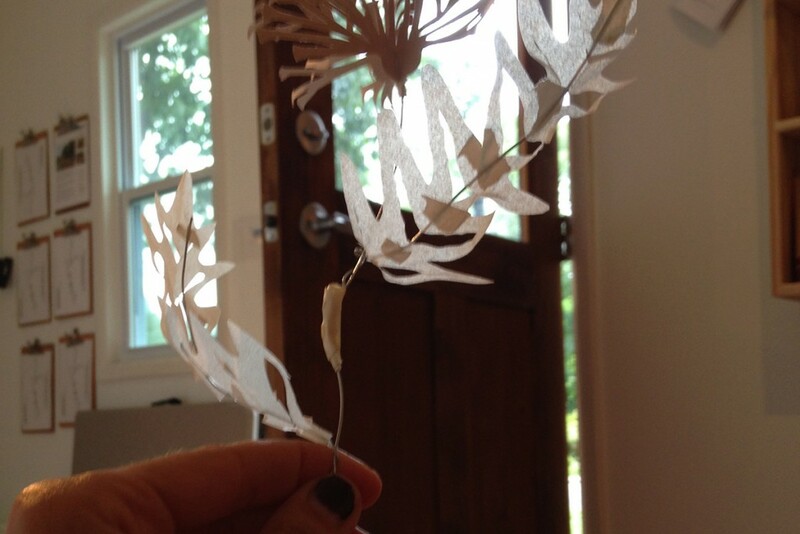 During the month of August, an ongoing series of events and installations are being organized for Chance Ecologies, leading up to a winter exhibit at Radiator Gallery. 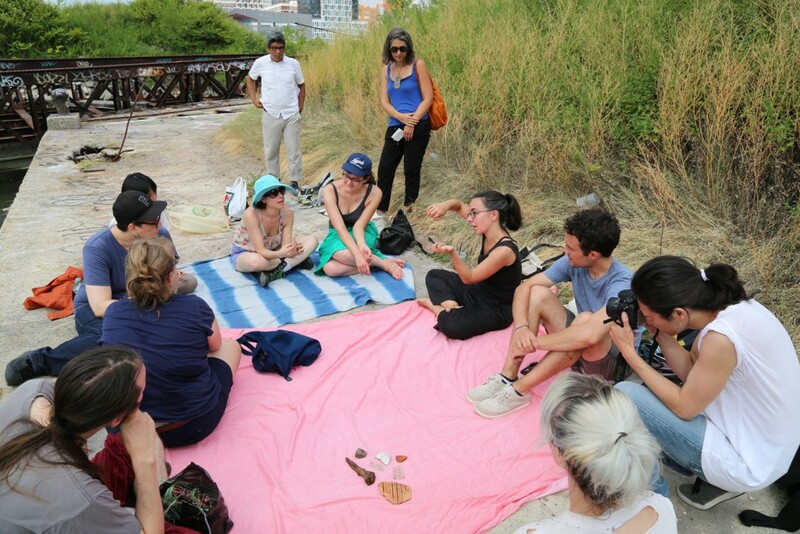 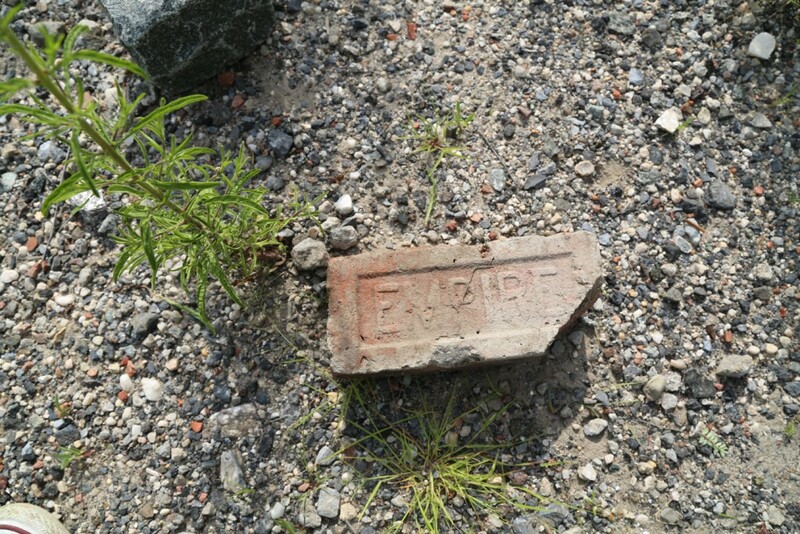 On Sunday August 23rd, Chance Ecologies continued its monthlong series of events with a guided walk and movement-research investigation through the re-wilded landscape of Hunter’s Point. 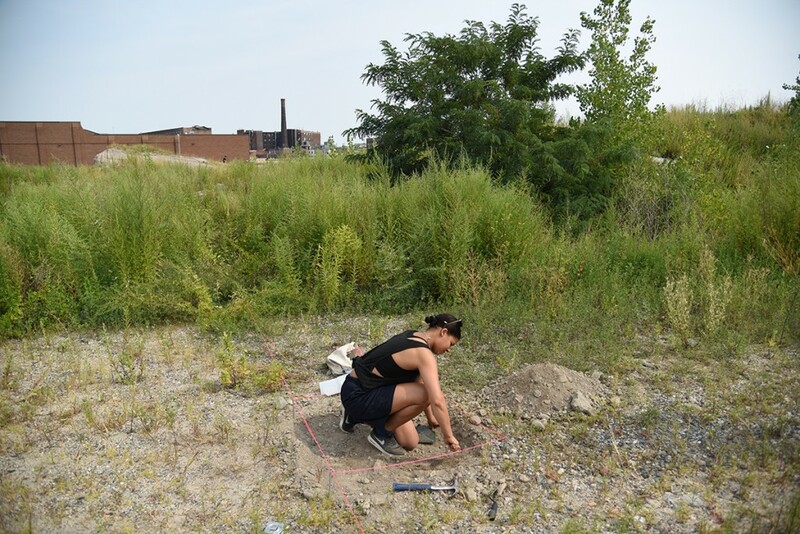 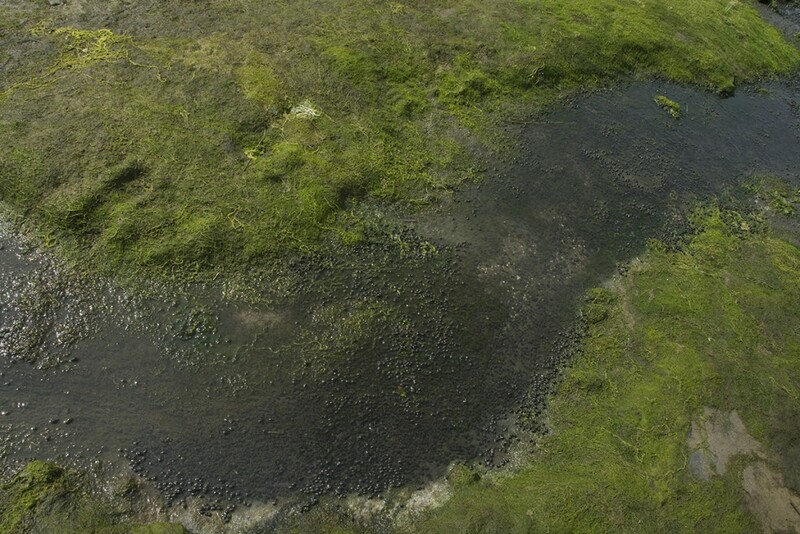 Artists Ellie Irons and Chris Kennedy invited the public into their exploration of endangered surfaces and the friction between man-made and re-wilded landscapes. 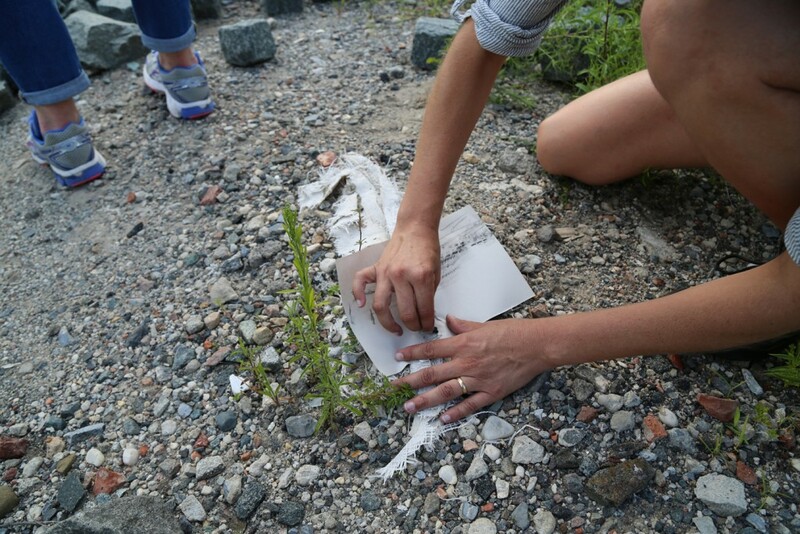 Taking rubbings of the various surfaces on and off site, participants compared their embodied responses to these tactile surroundings. 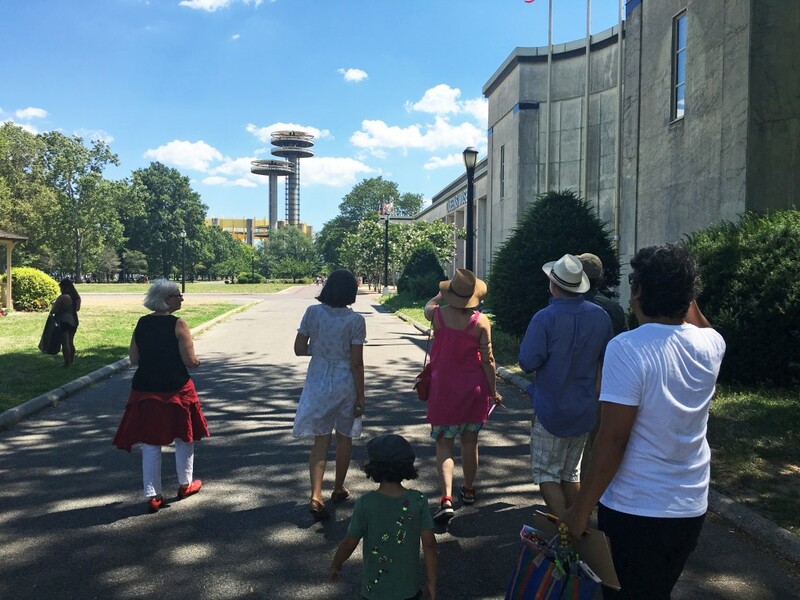 For more insights into the walk, read this photo essay created by Eric Lau and Michelle Young for the publication Untapped Cities. 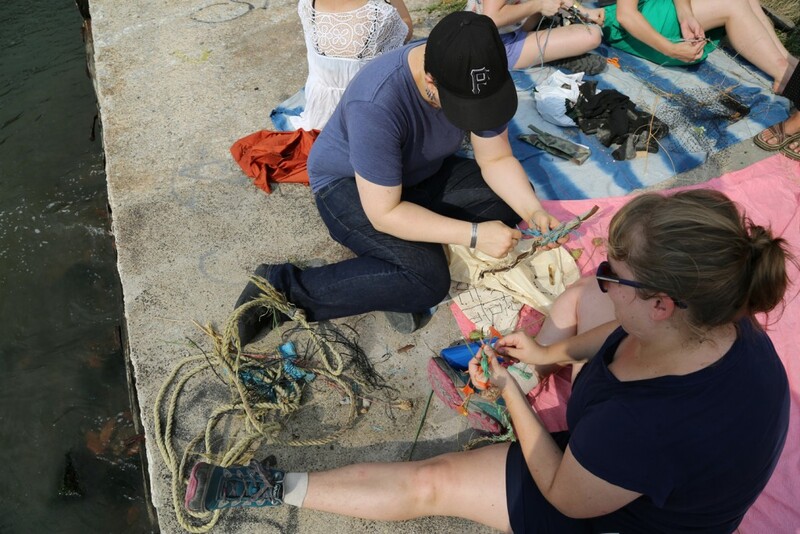 On Sunday August 16th, Chance Ecologies continued its monthlong series of events with a walking and weaving workshop led by artist Anne Percoco, inviting participants to search out found materials onsite and use them to make a series of “sutras” – ropes coiled from grasses, combined and woven with other materials. 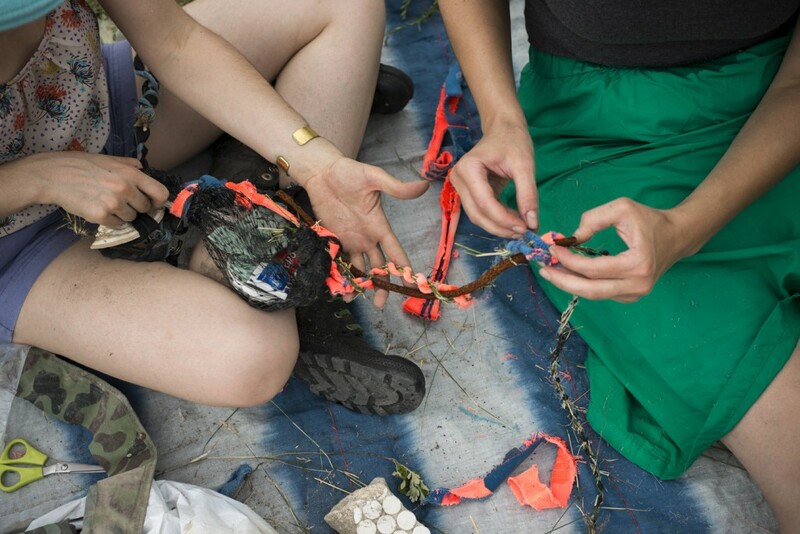 The segments of ropes made by participants during this workshop will be combined into a final sculpture by the artist.